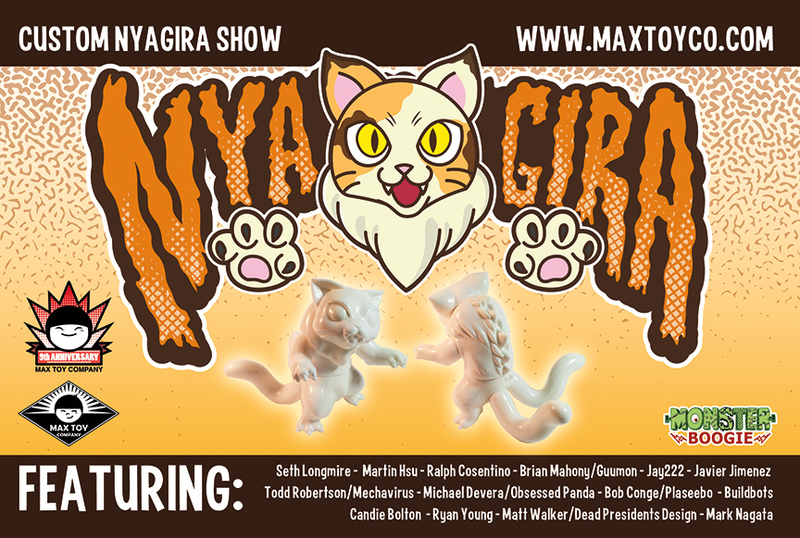 Its been forever since I’ve posted here, but you can always follow my posts on http://www.maxtoyco.com and of course Instagram @maxtoyco !! 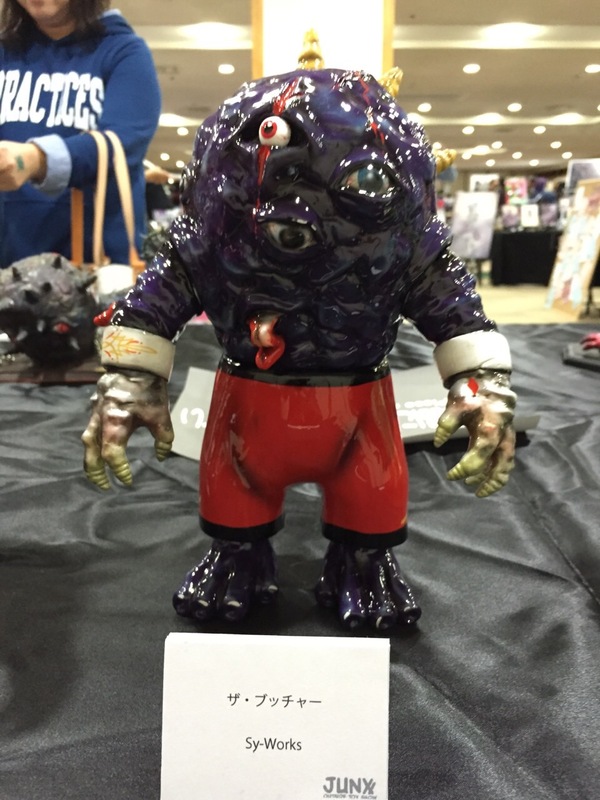 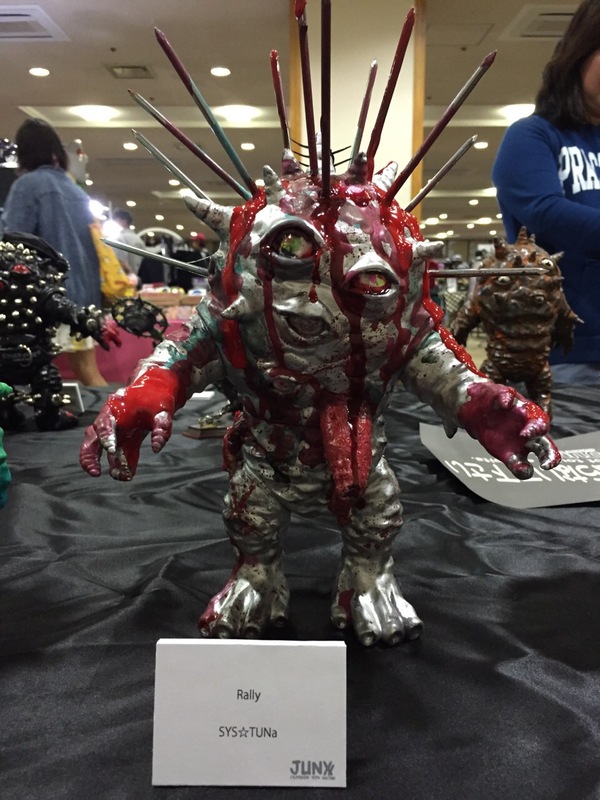 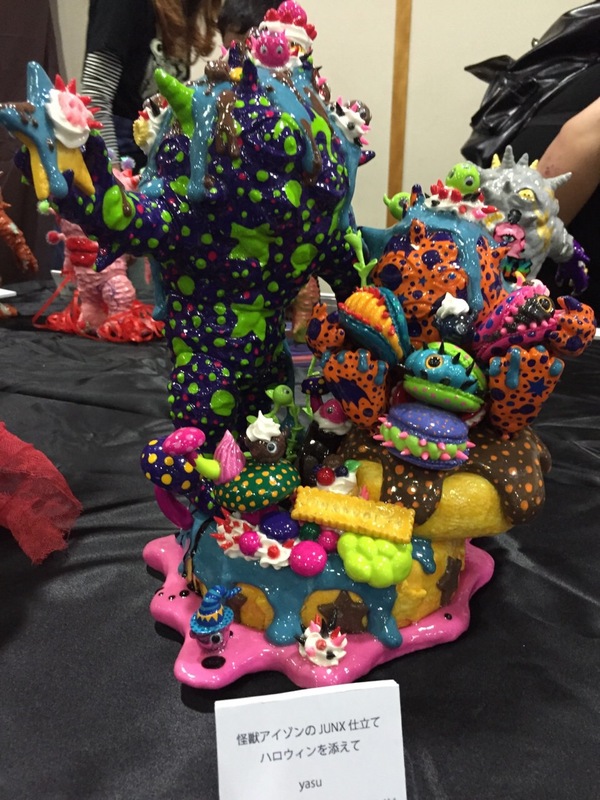 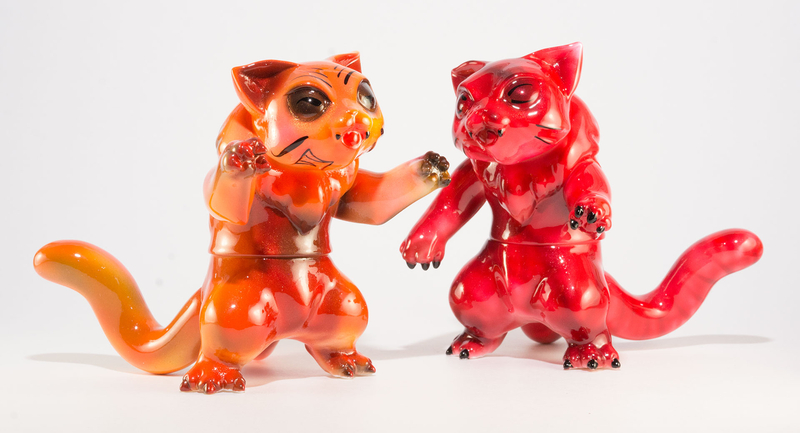 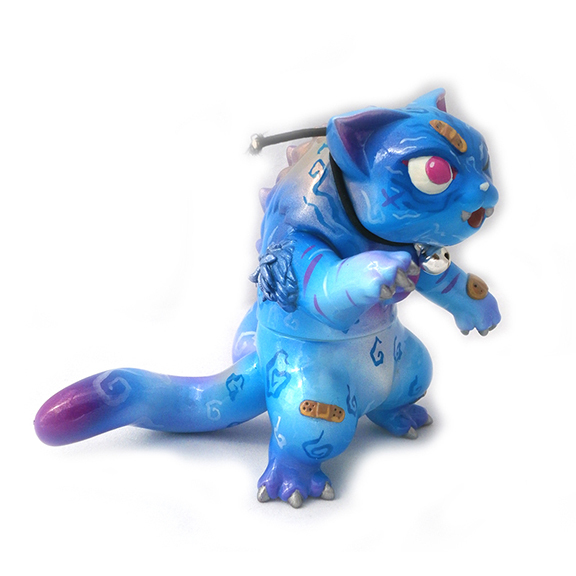 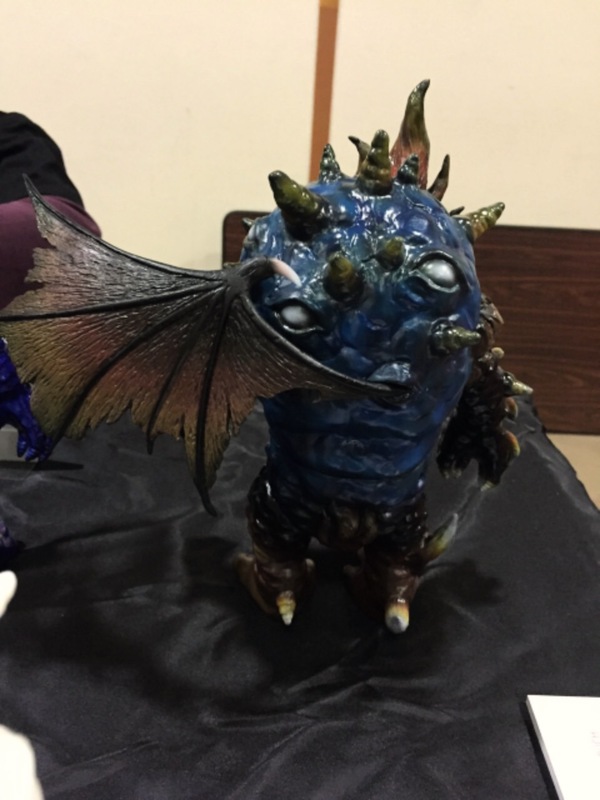 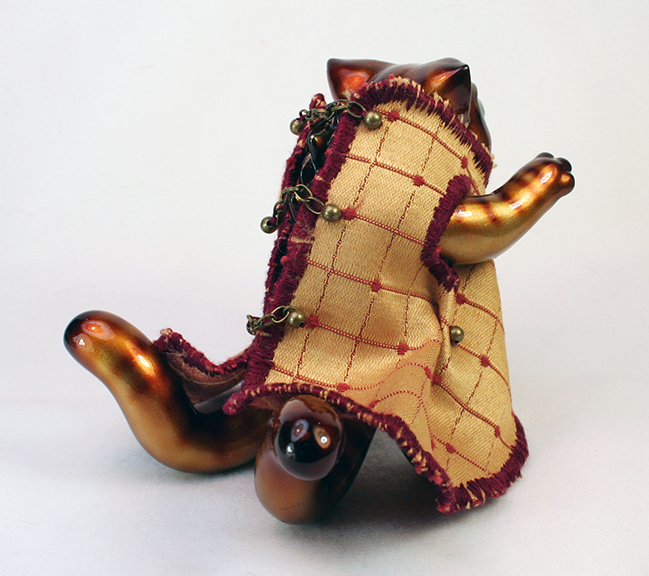 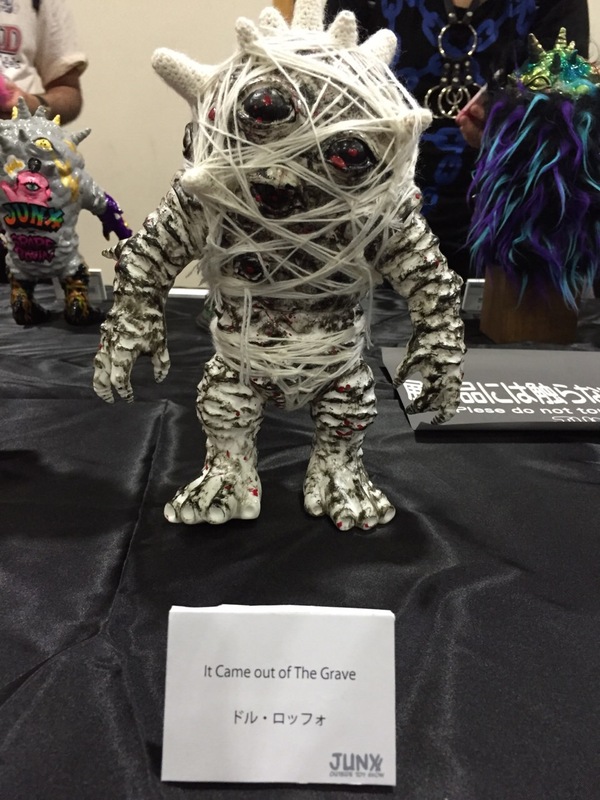 Each artist was given a Mini or Micro sized Nyagira soft vinyl figure to customize. 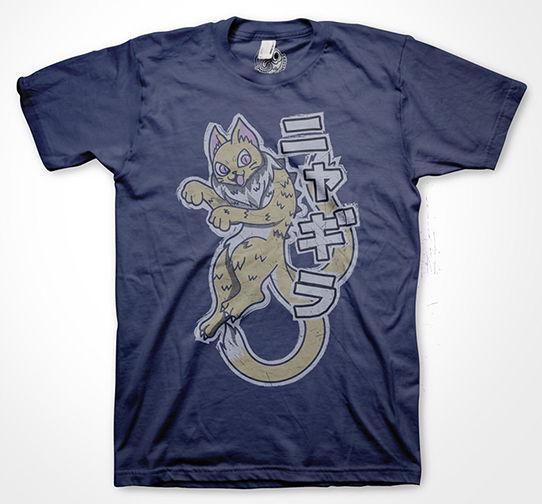 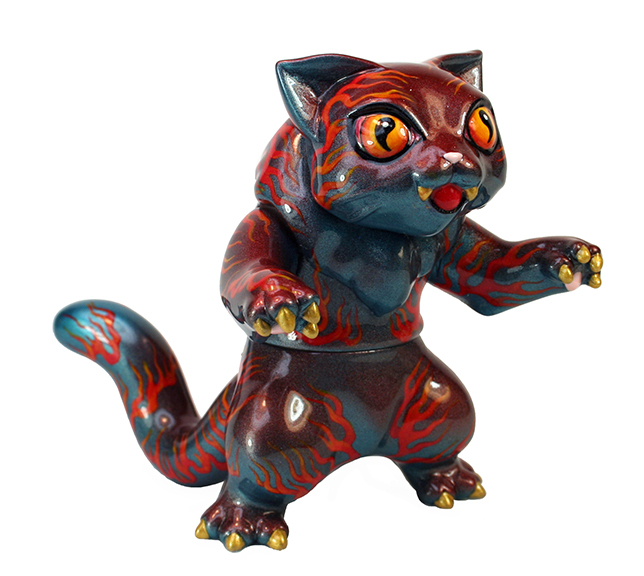 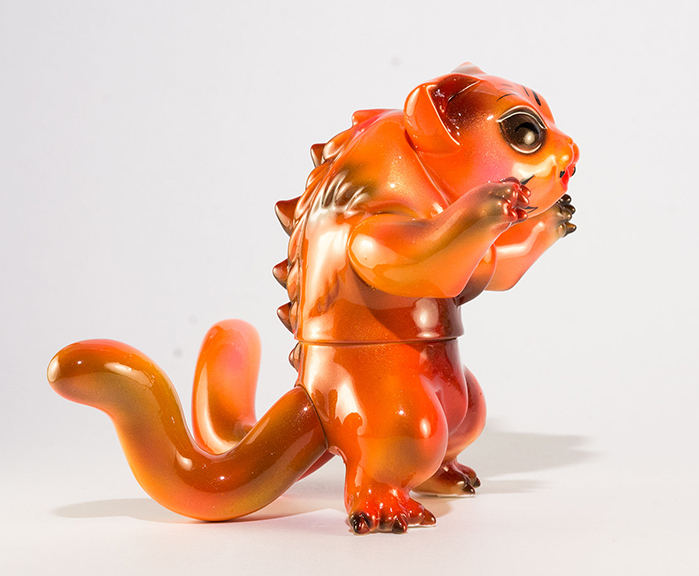 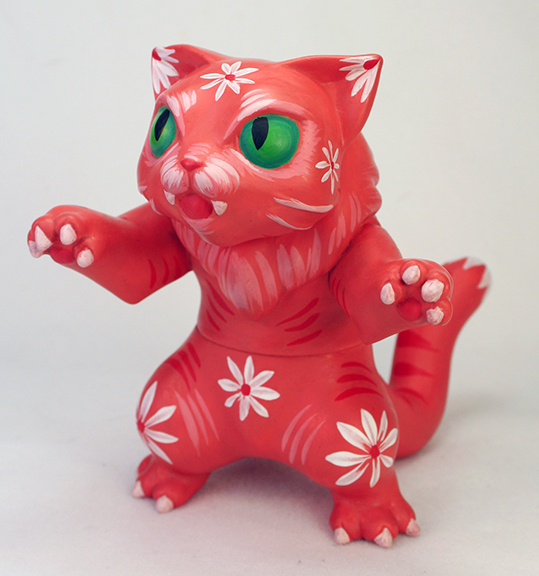 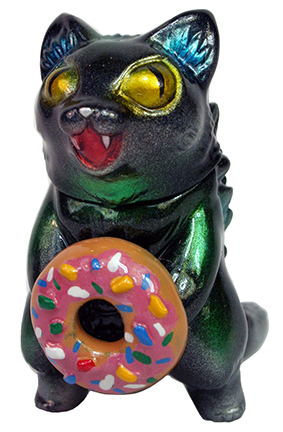 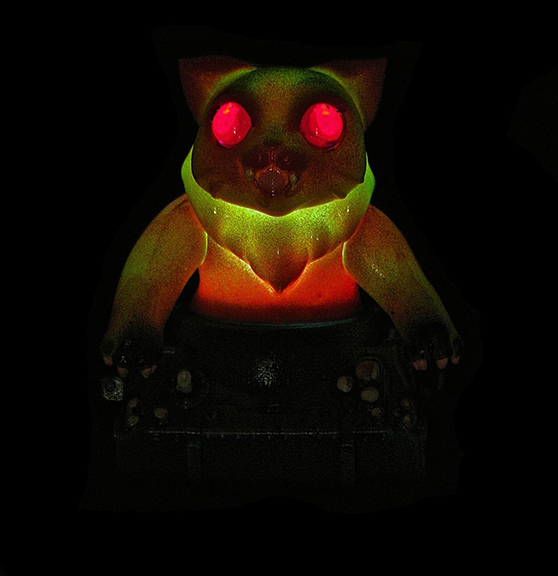 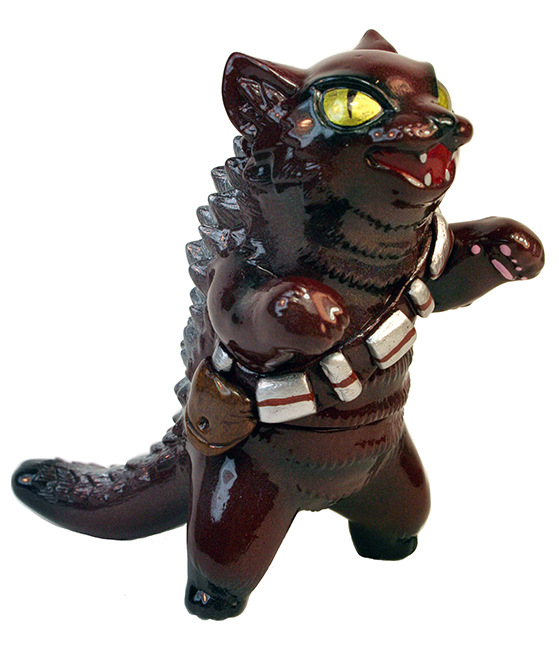 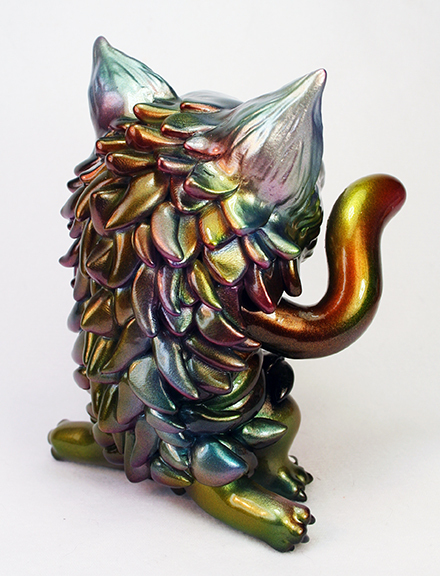 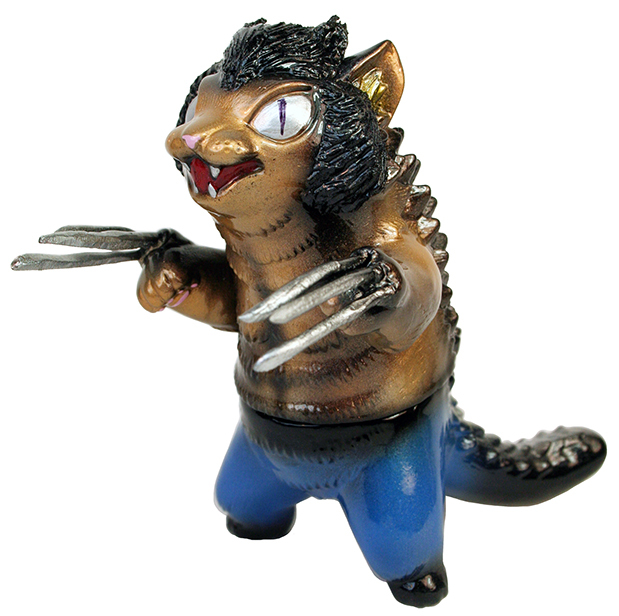 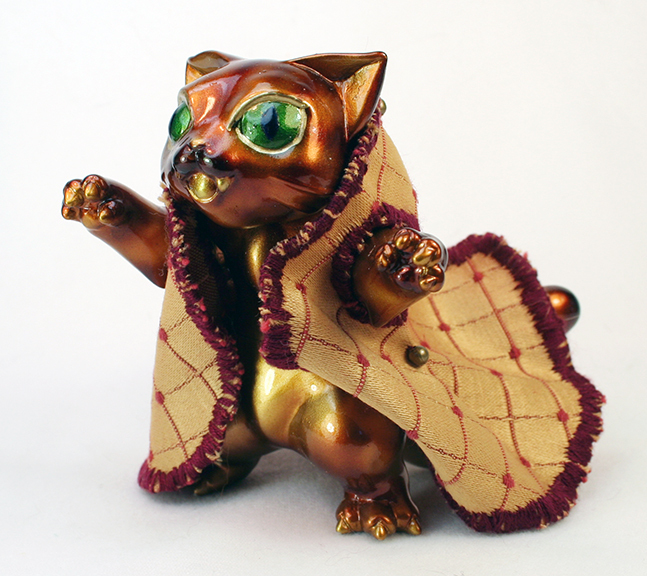 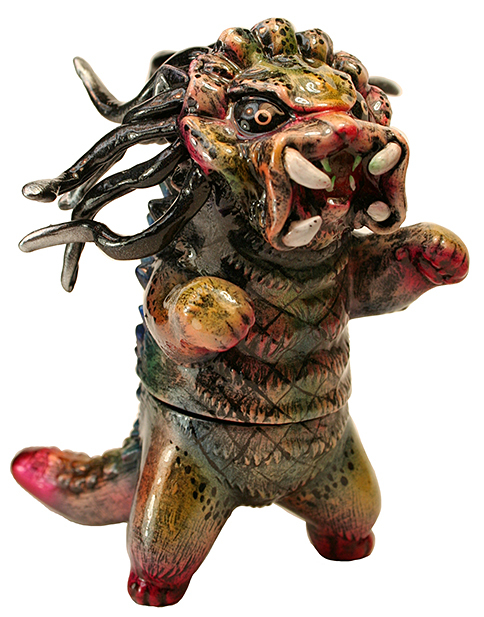 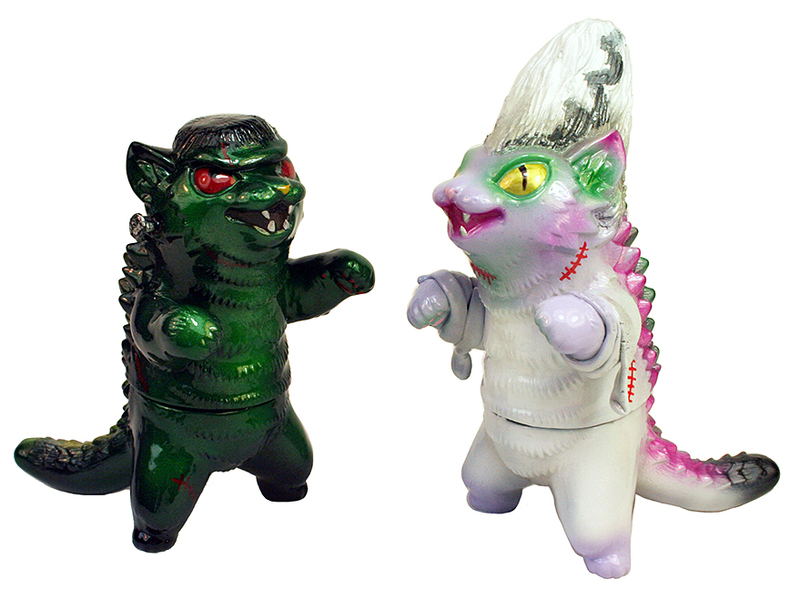 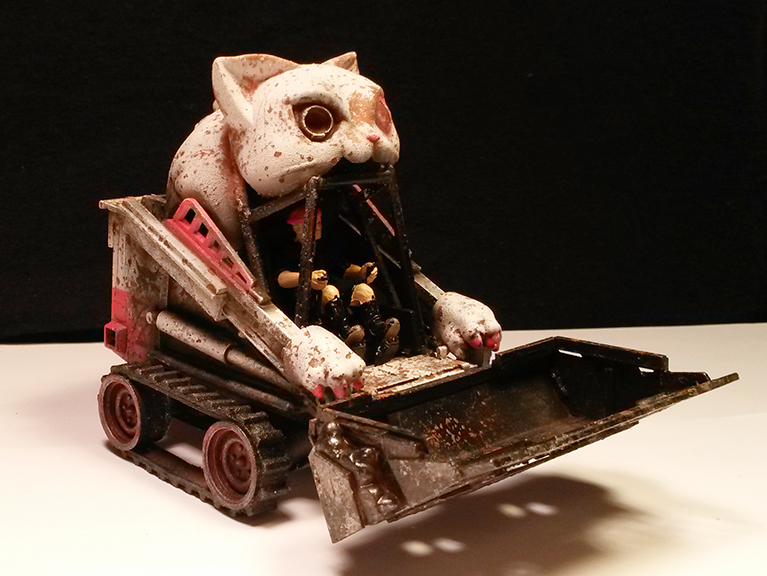 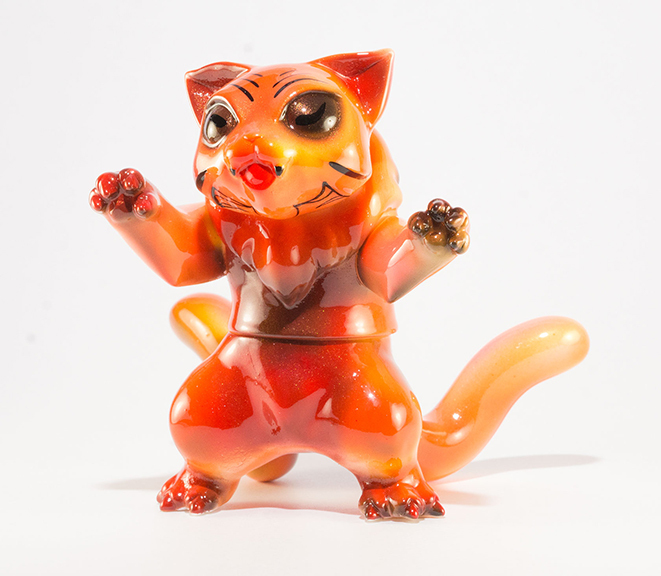 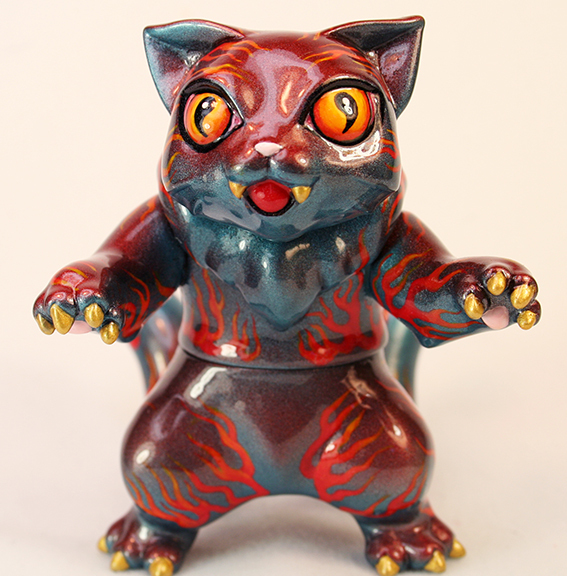 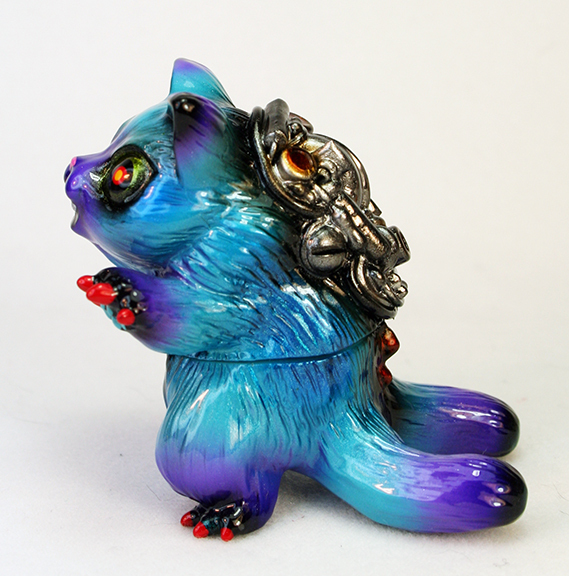 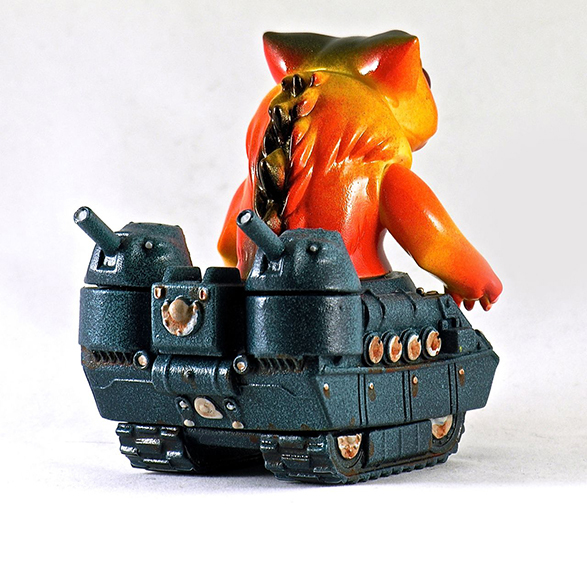 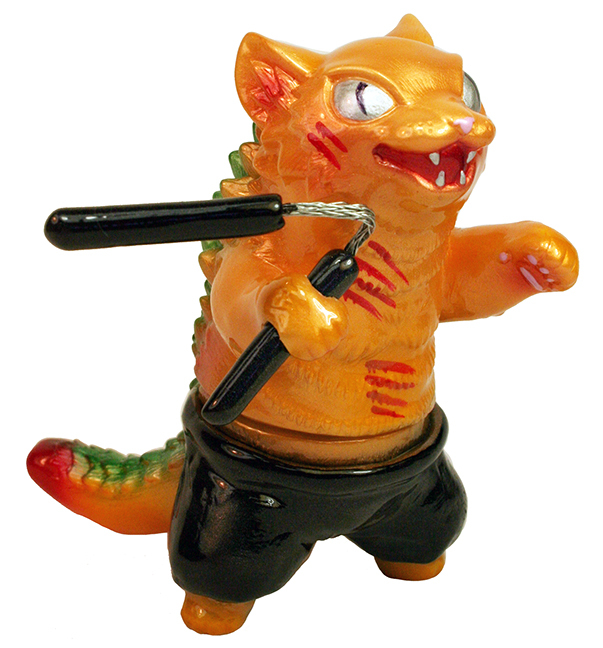 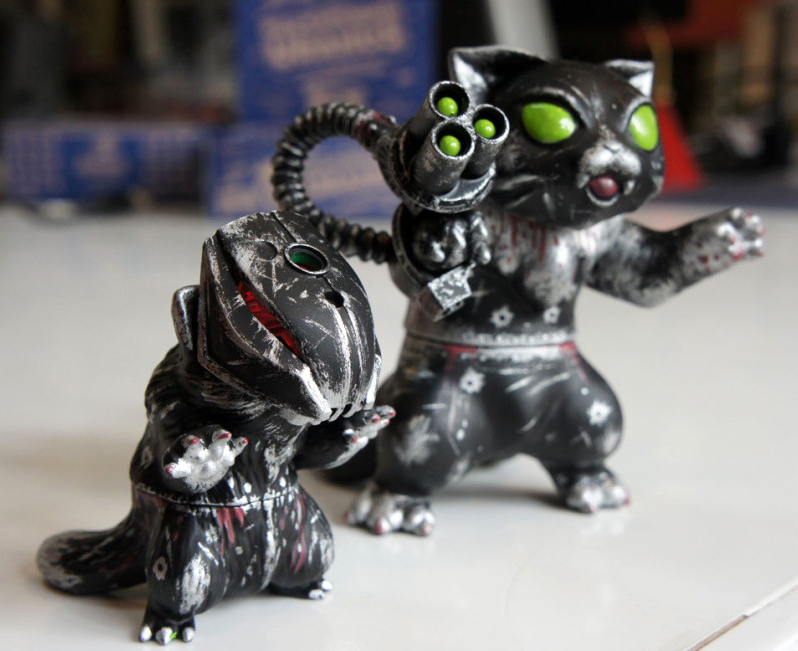 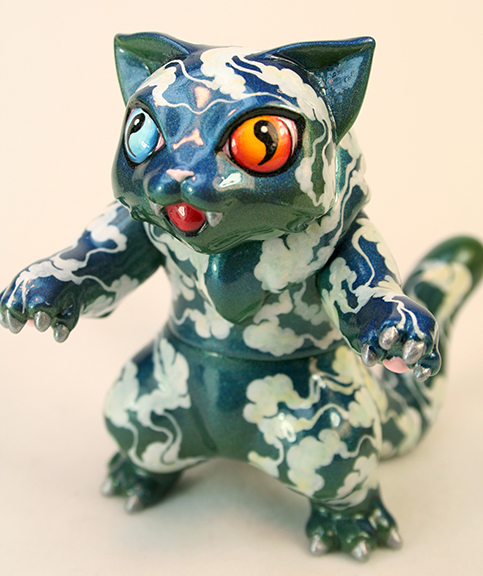 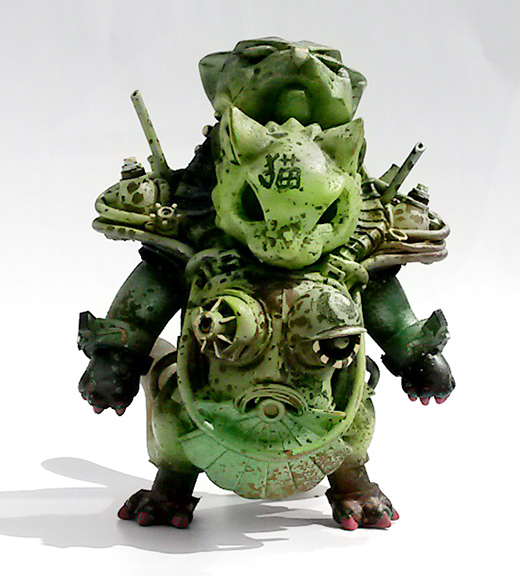 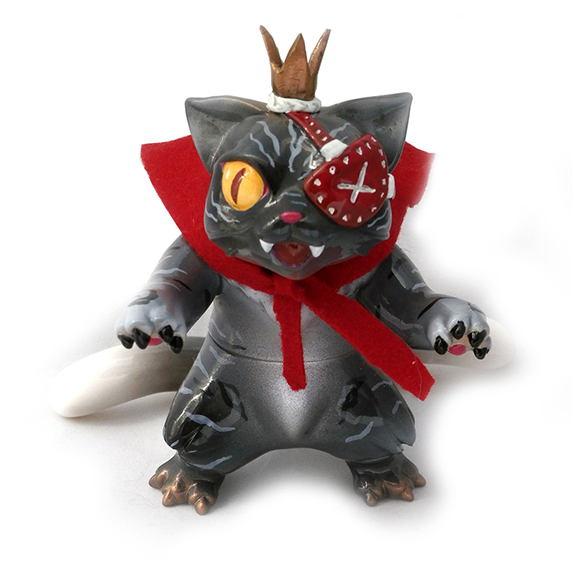 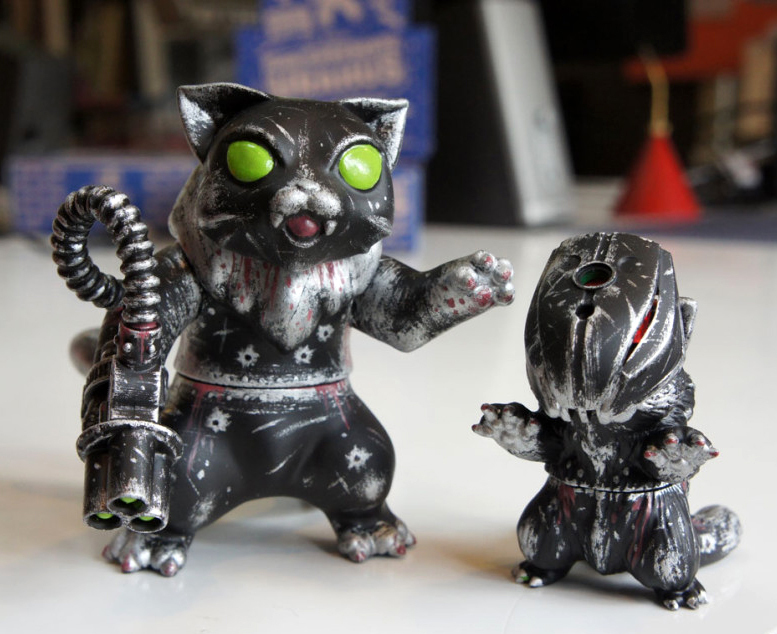 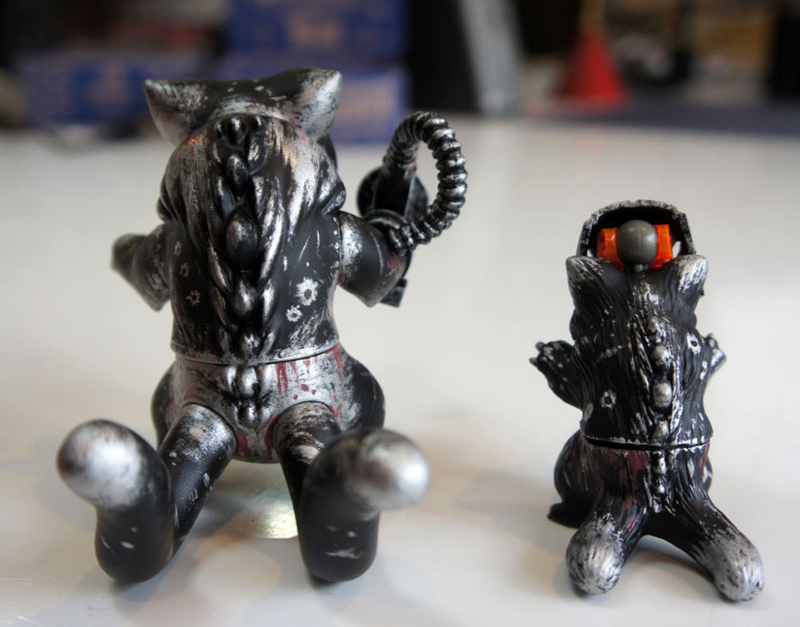 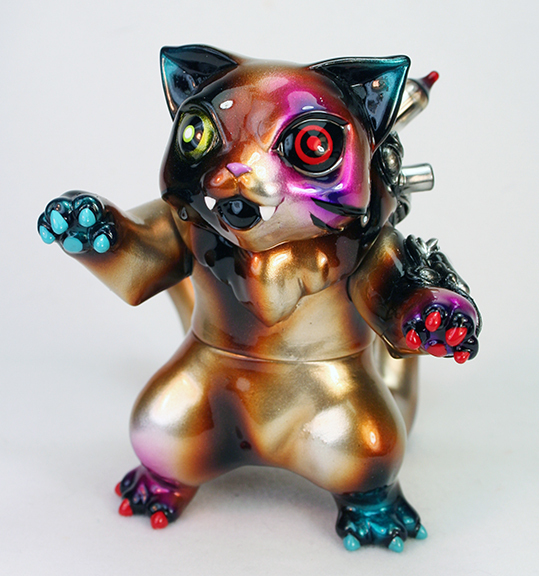 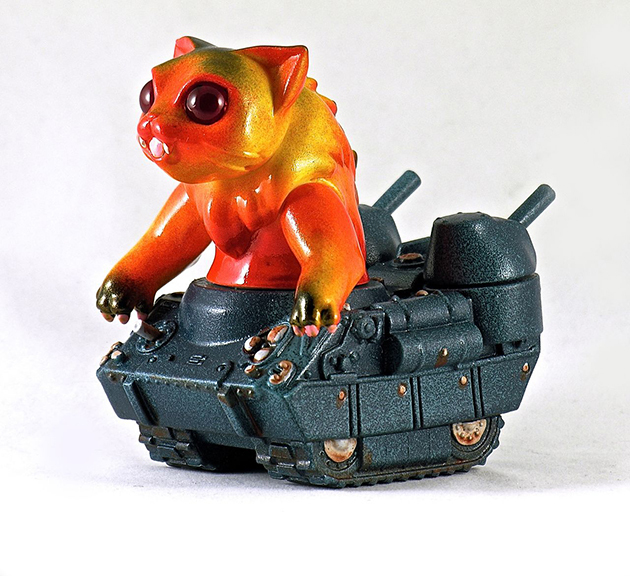 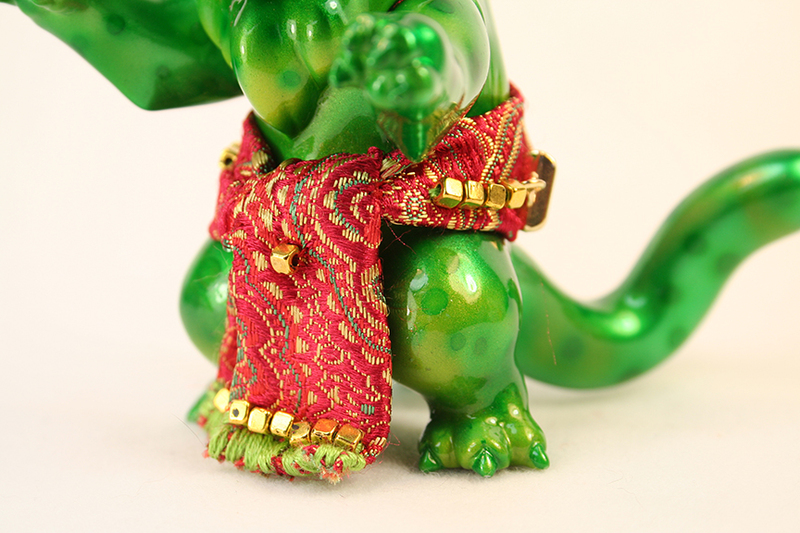 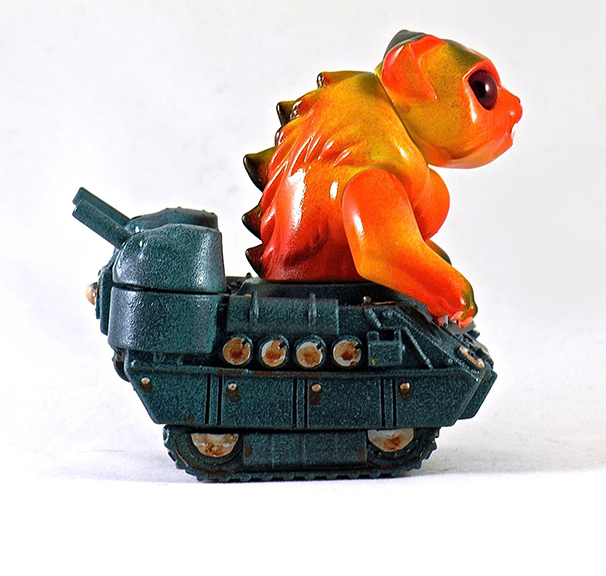 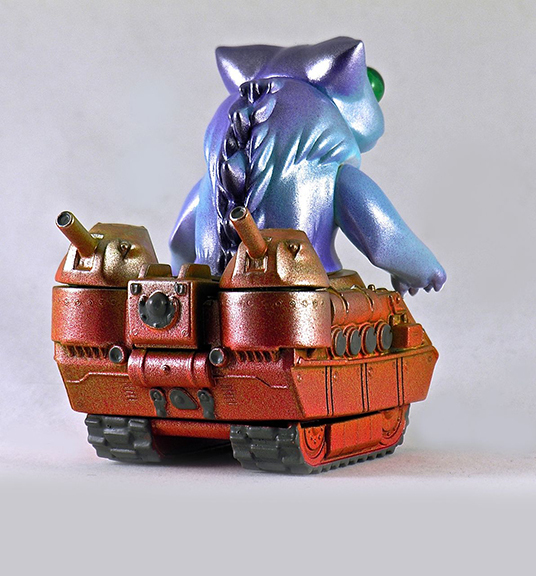 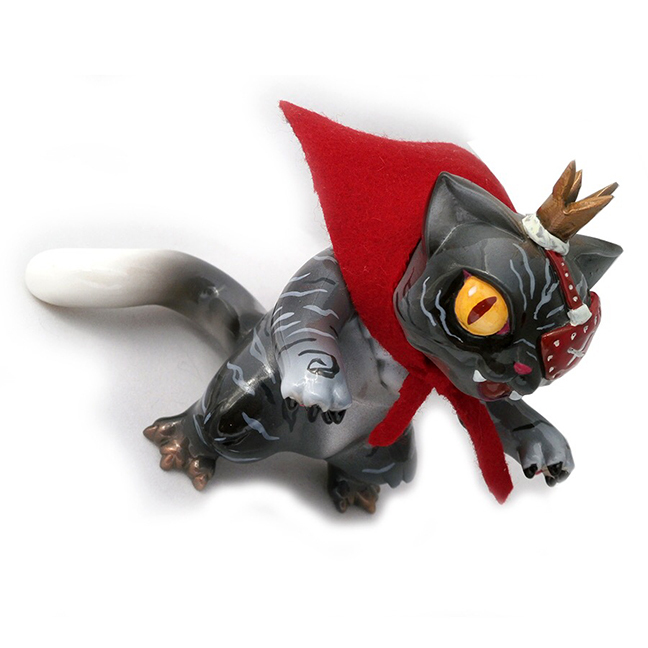 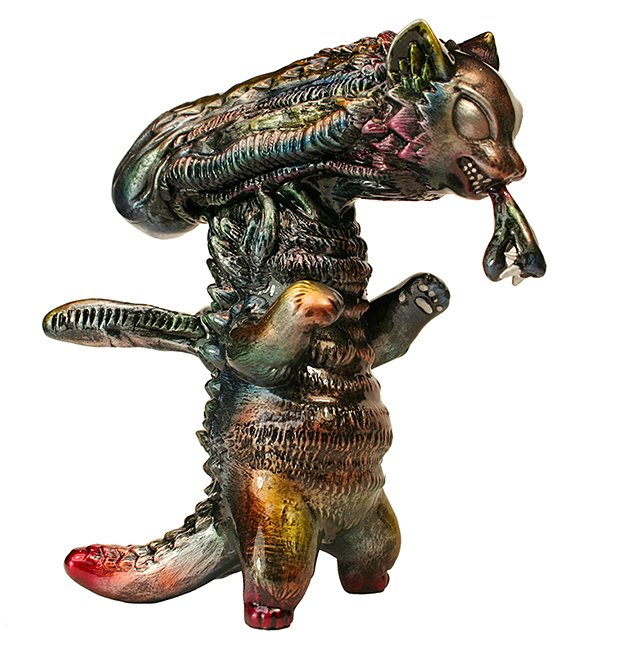 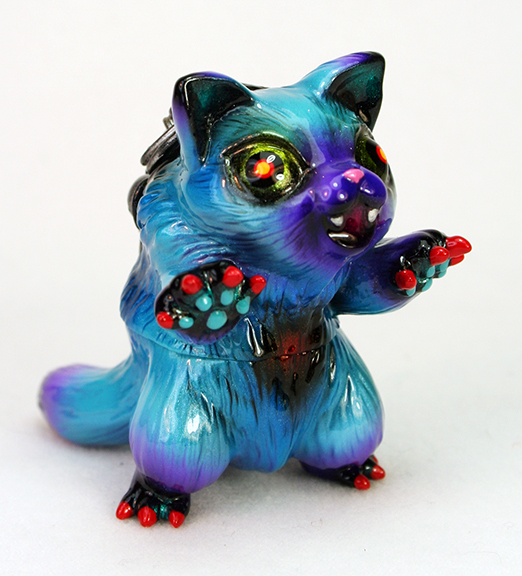 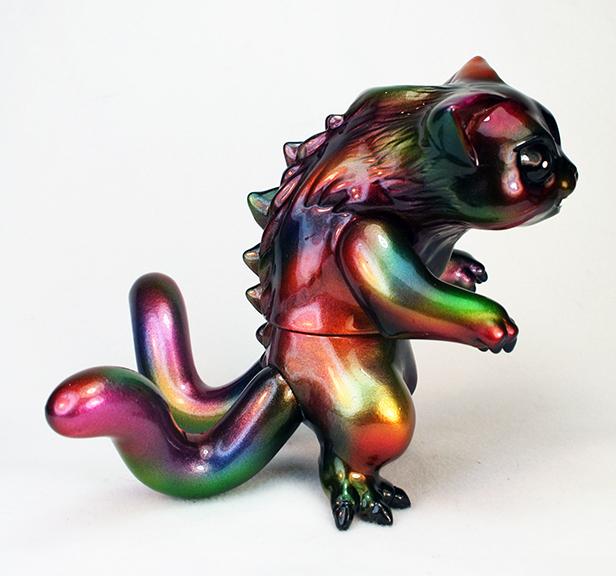 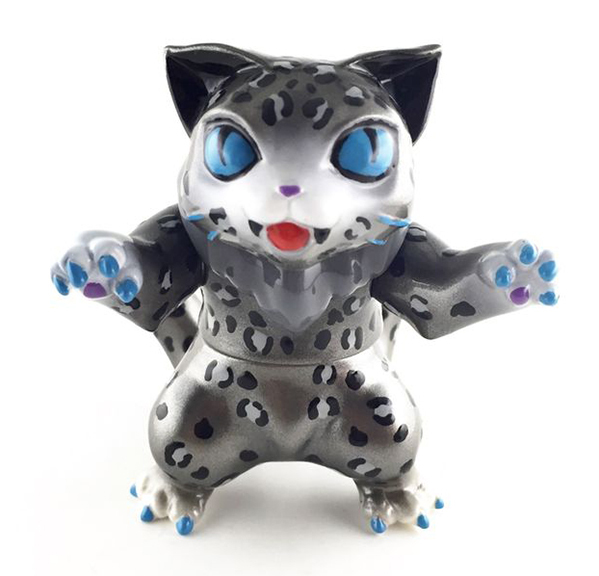 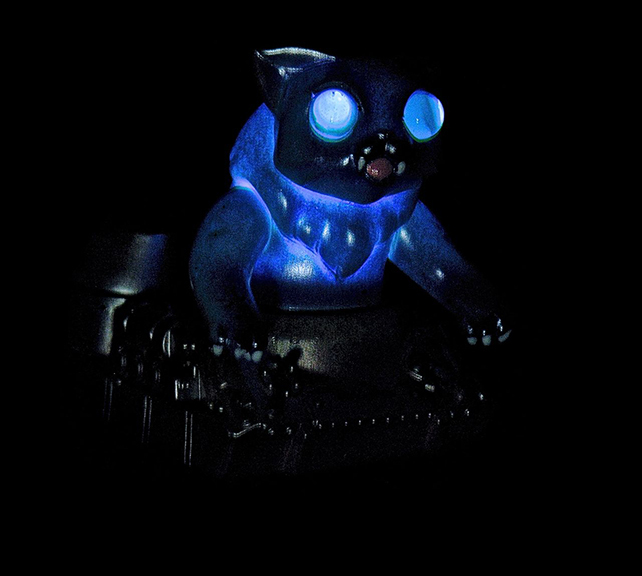 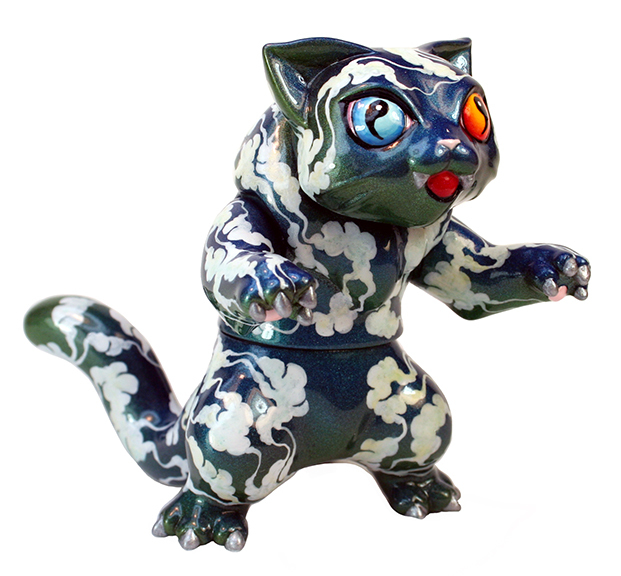 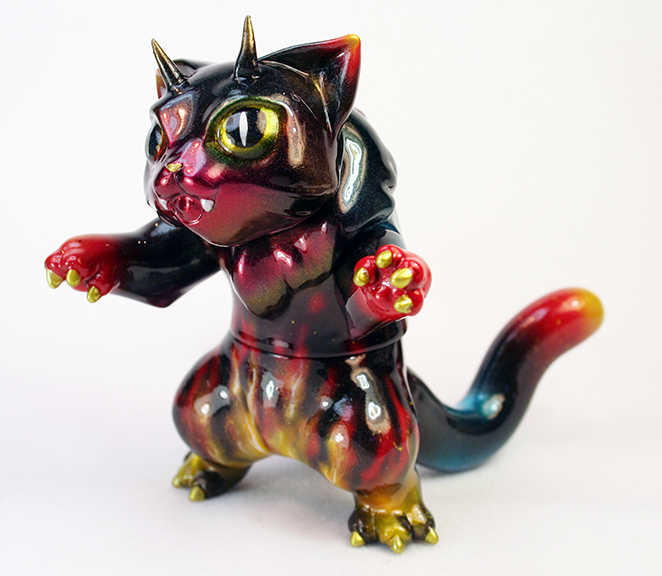 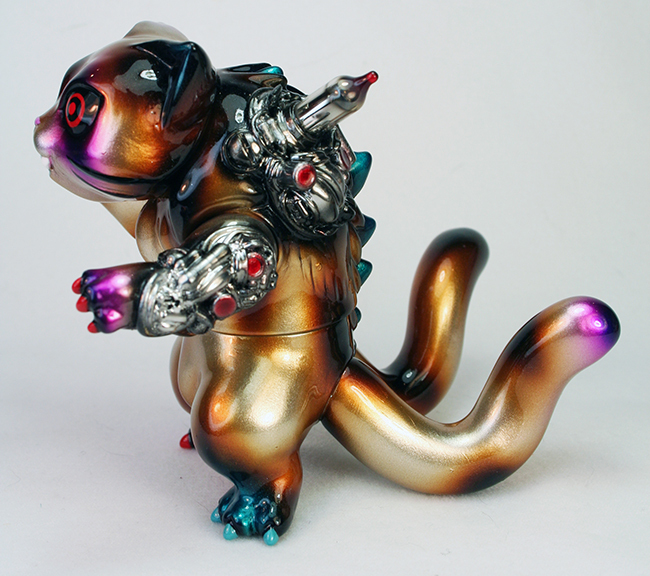 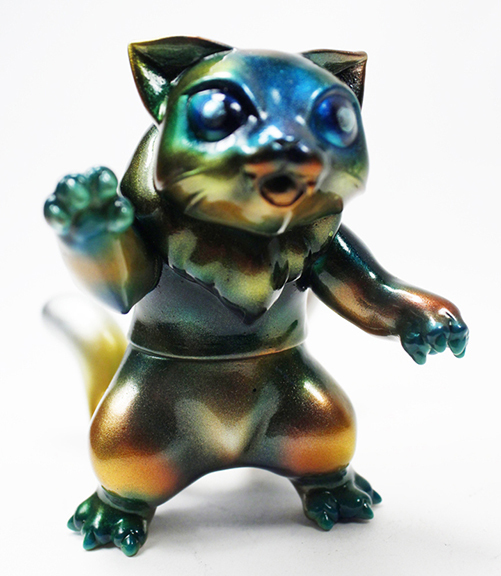 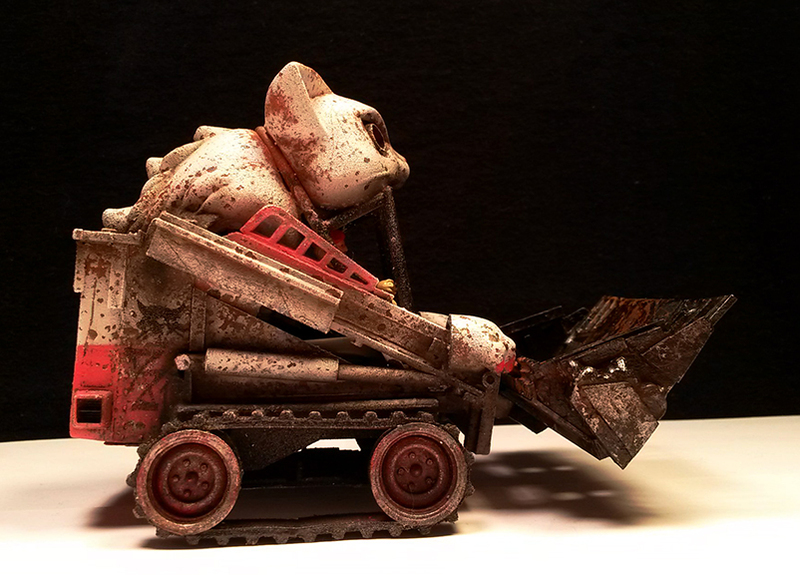 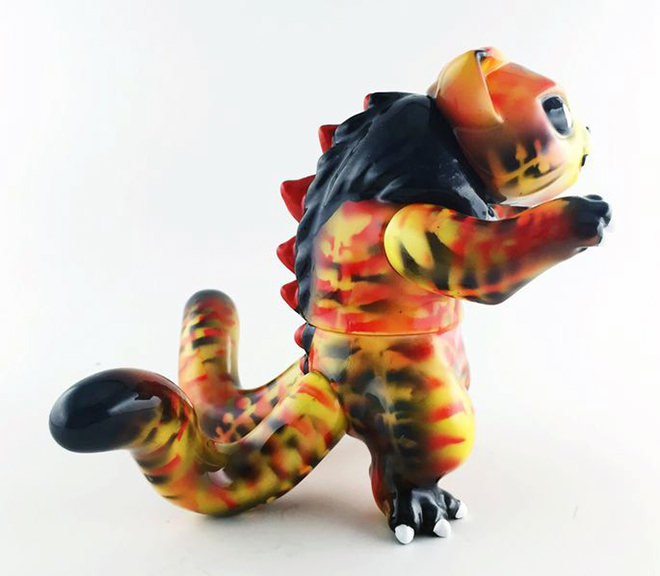 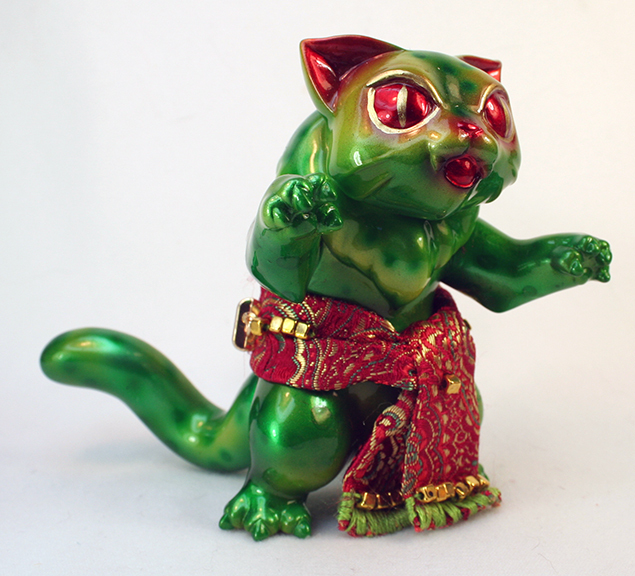 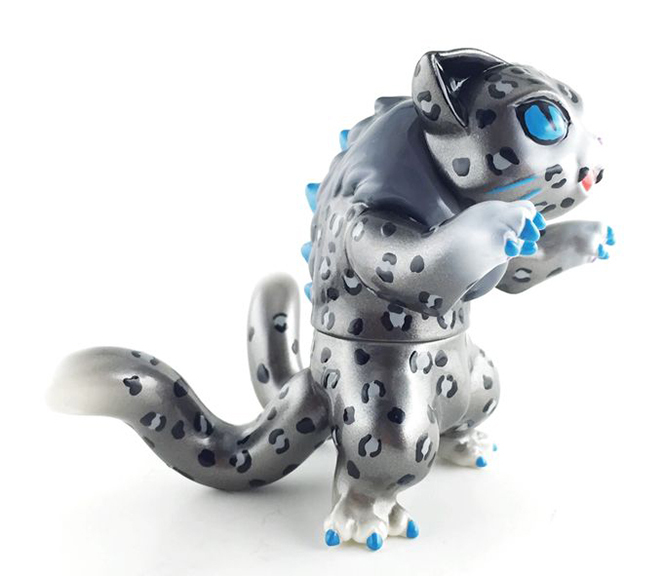 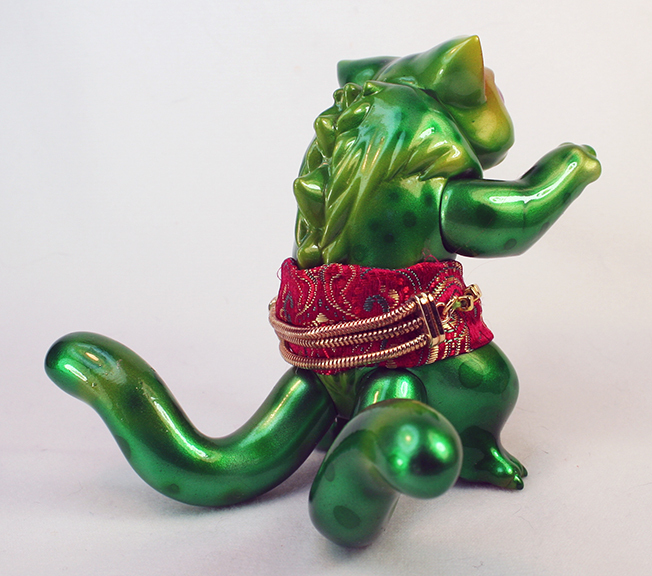 Kaiju Cat Nyagira Stands aprox 3.75 inches tall, with 6 points of articulation. 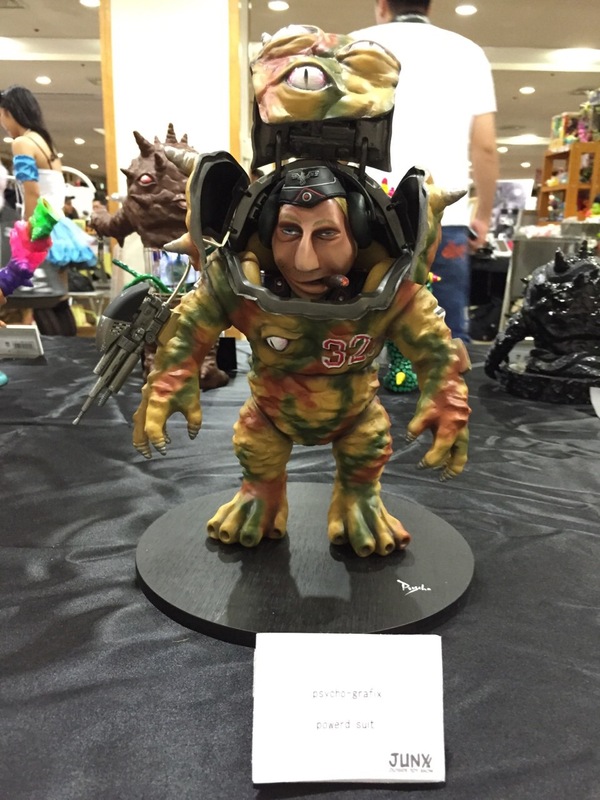 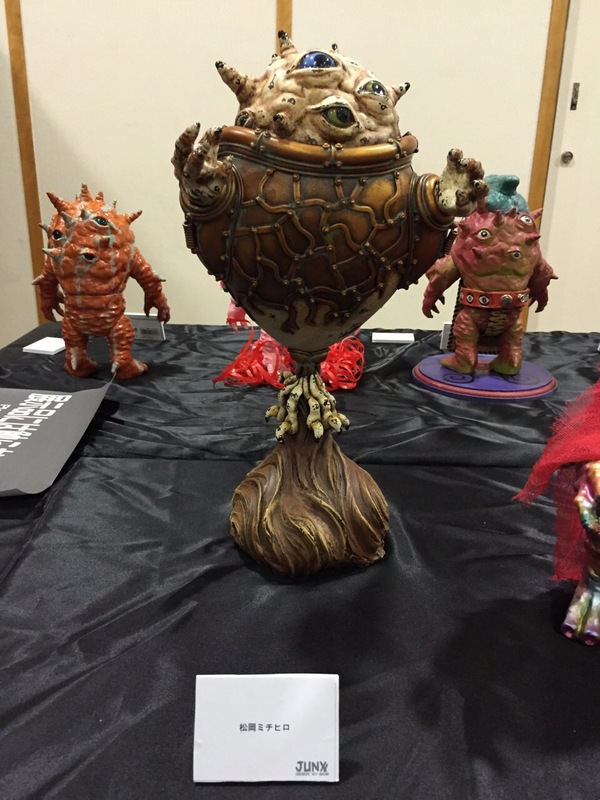 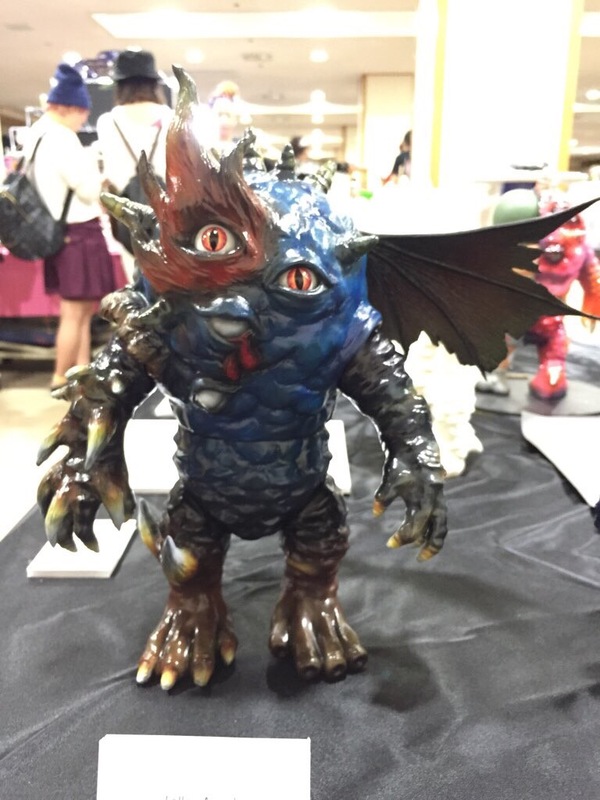 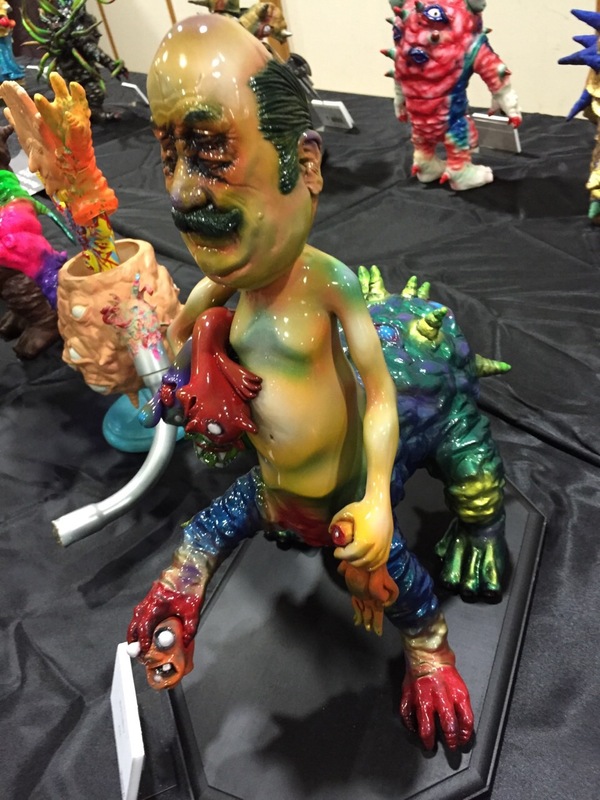 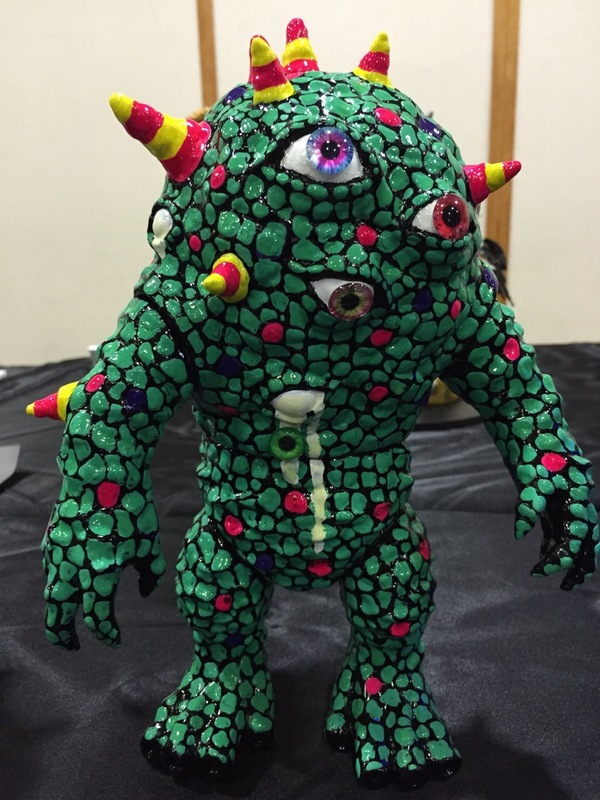 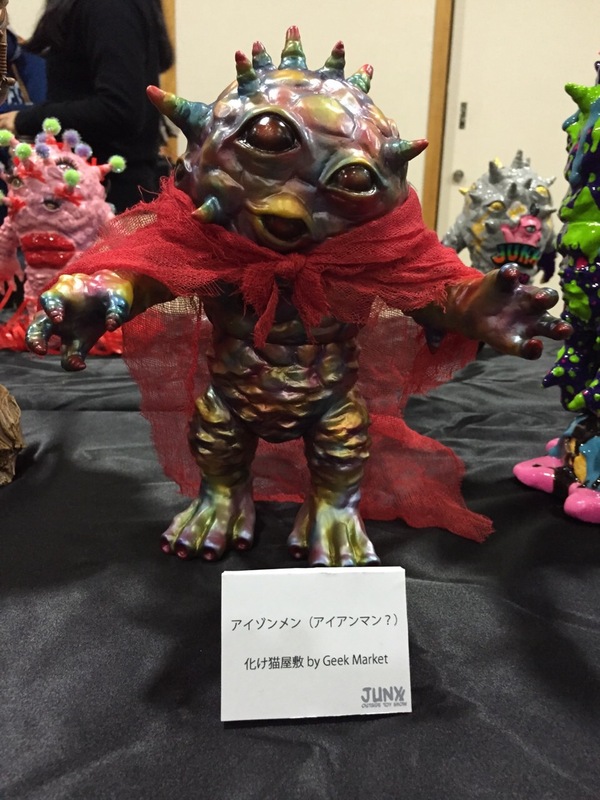 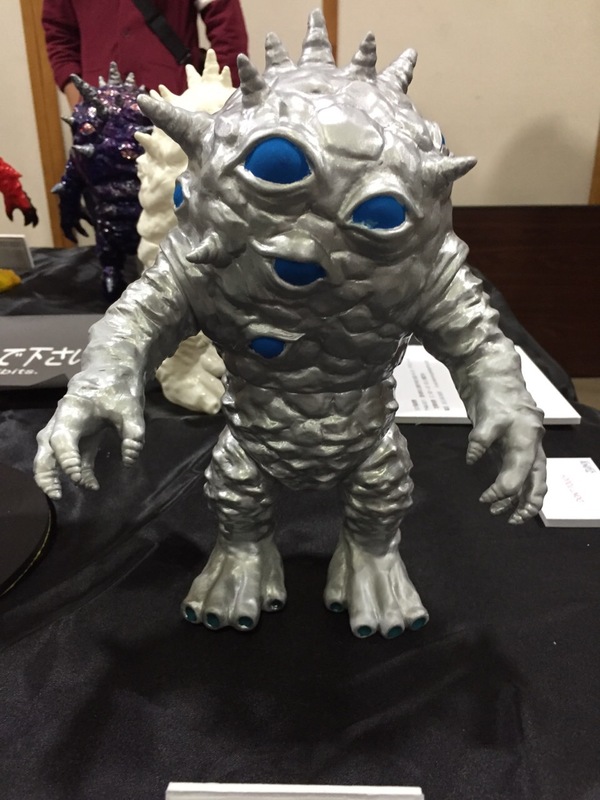 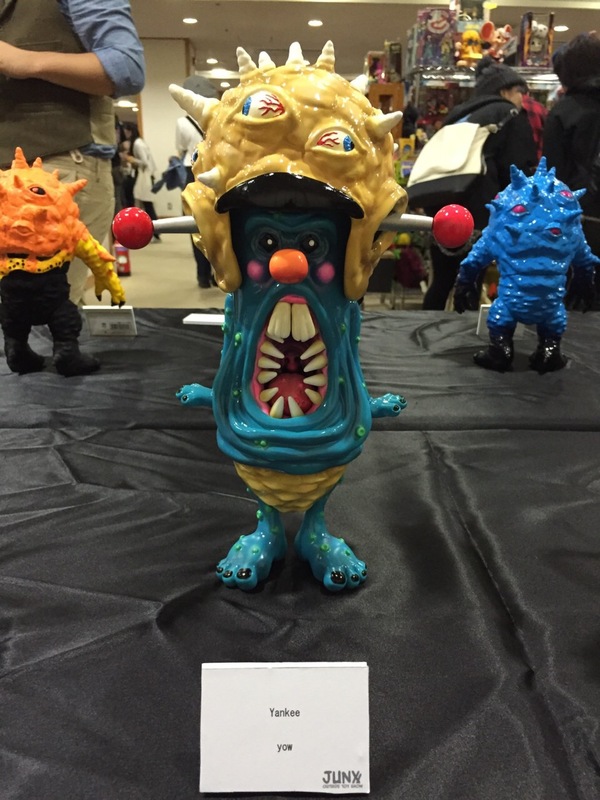 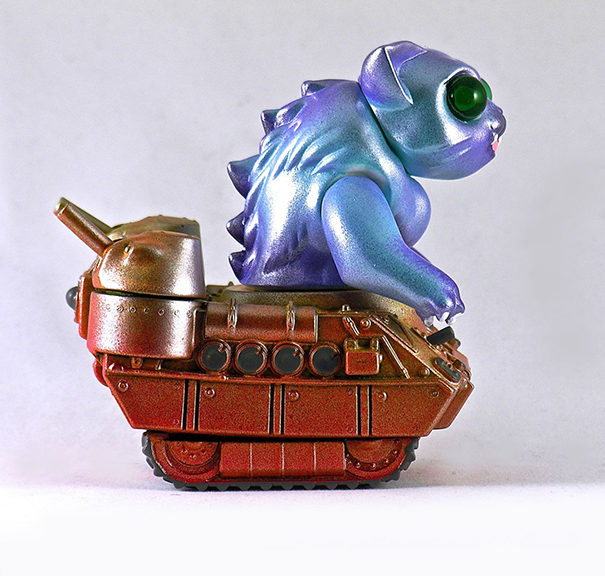 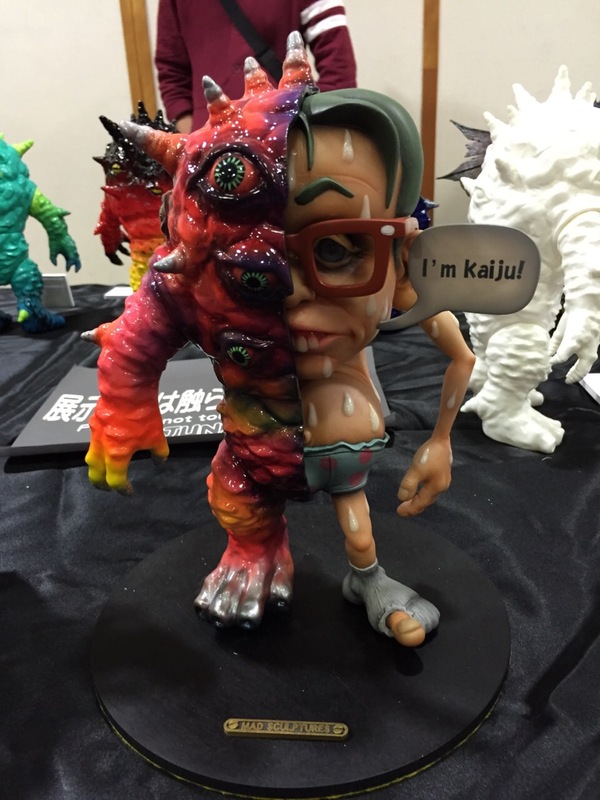 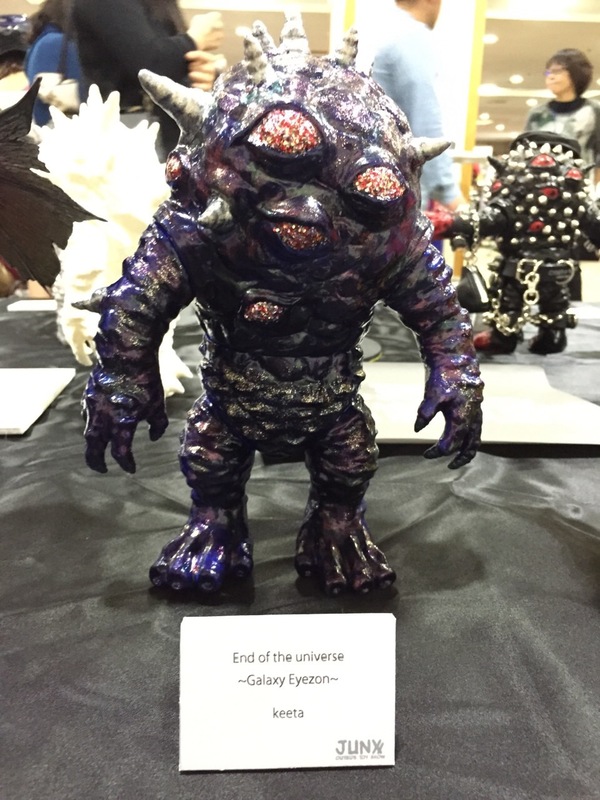 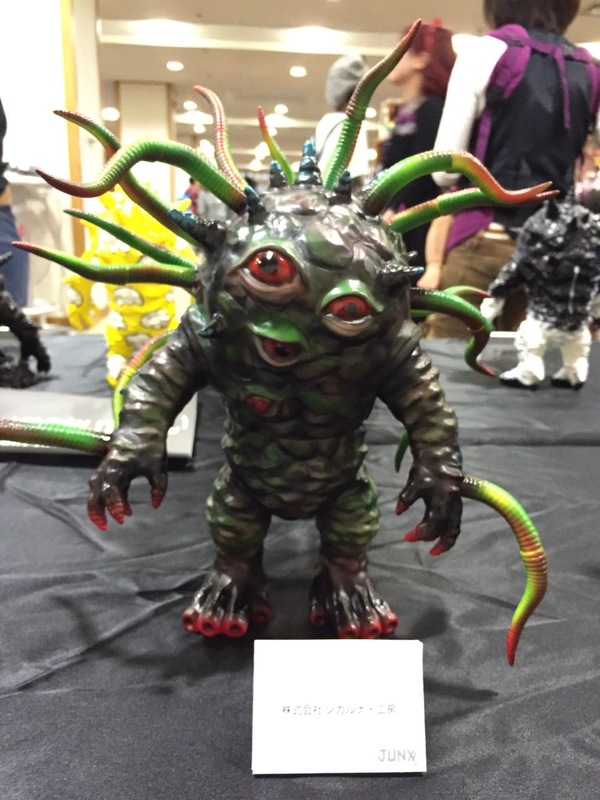 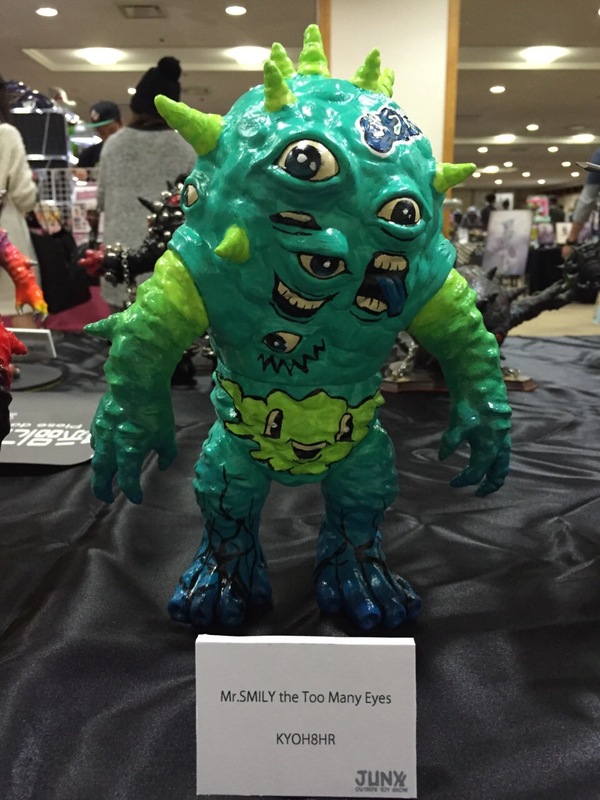 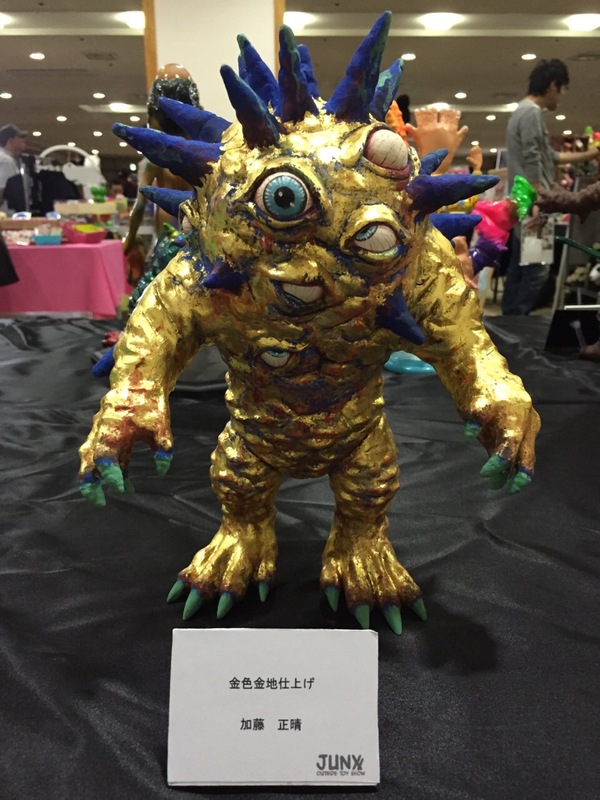 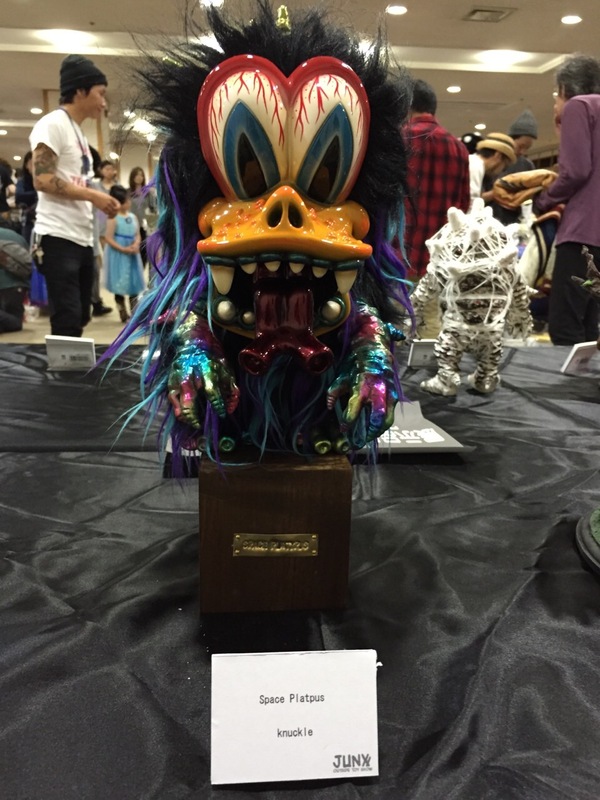 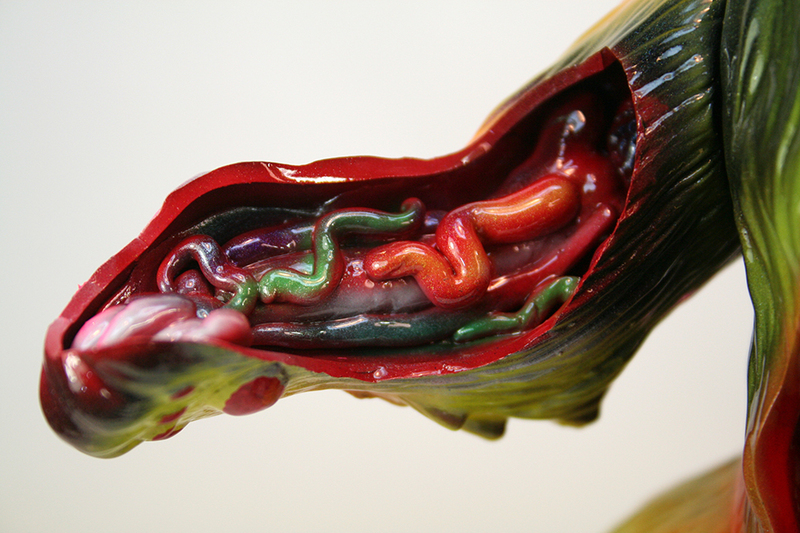 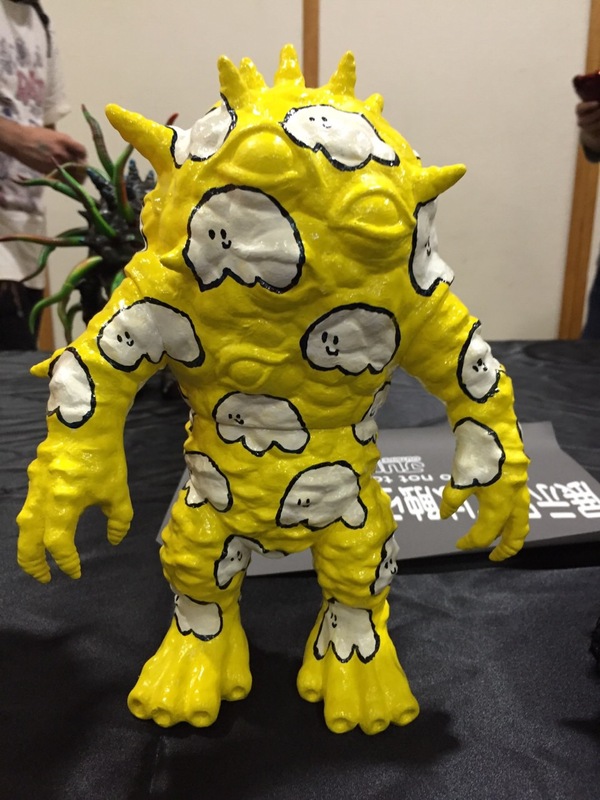 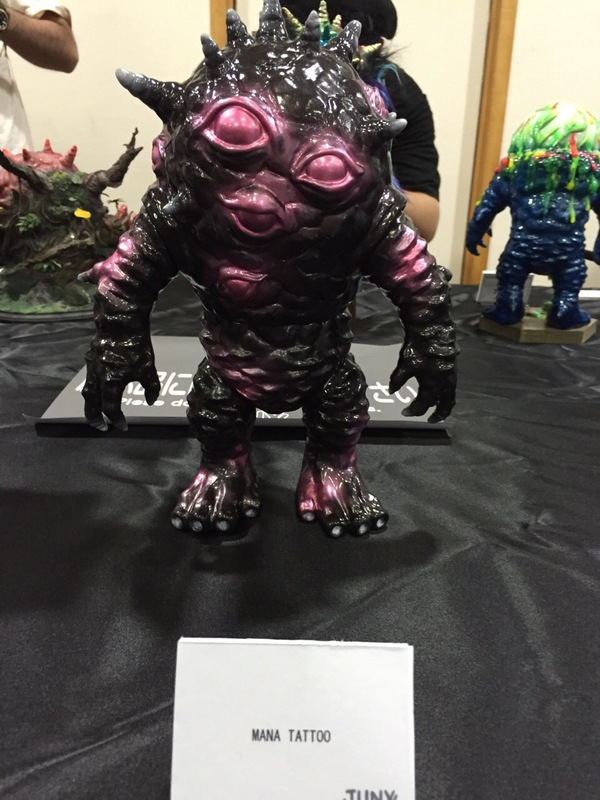 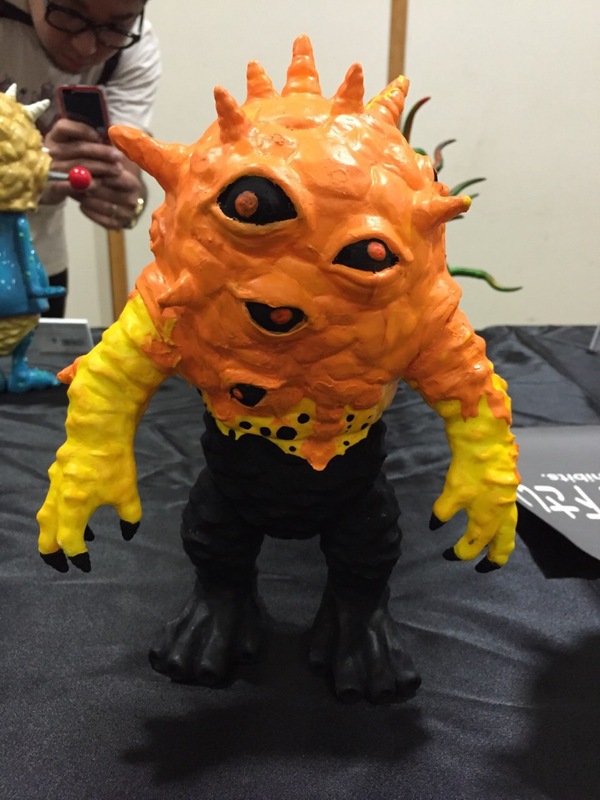 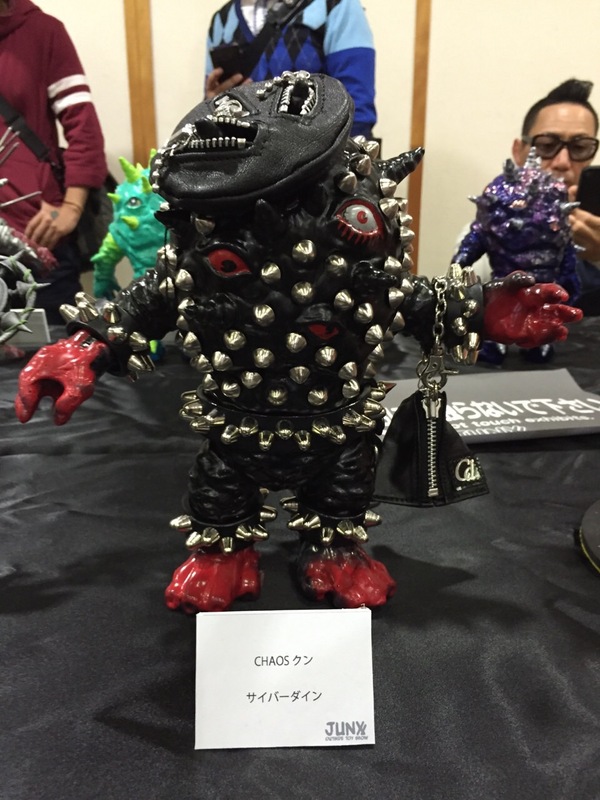 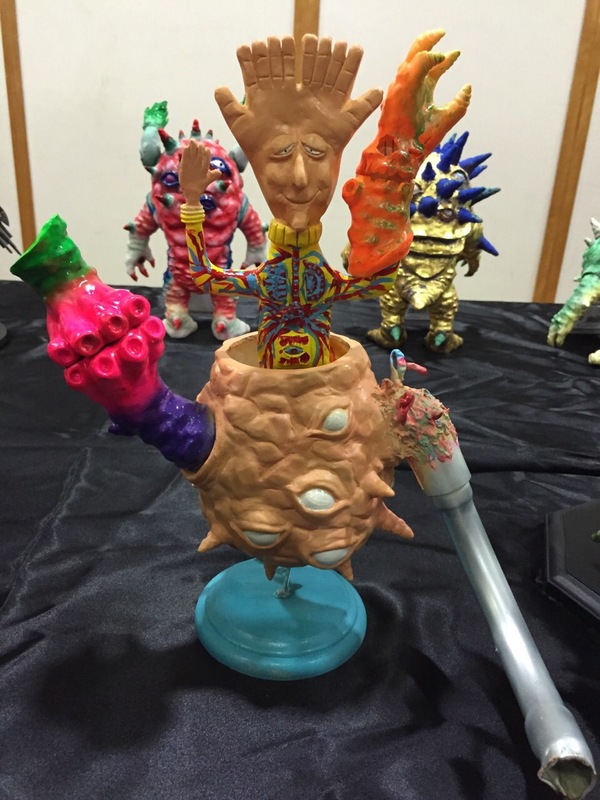 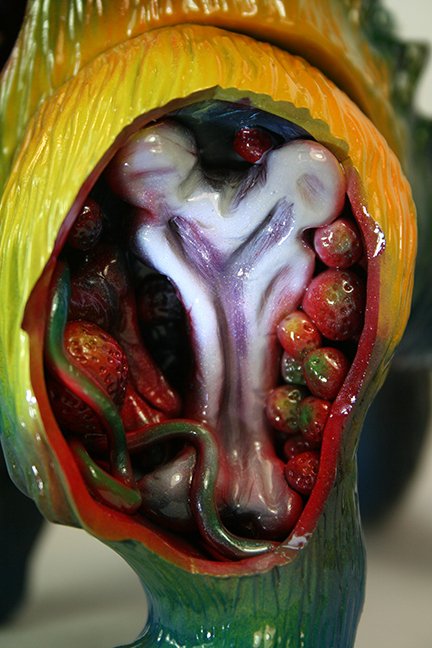 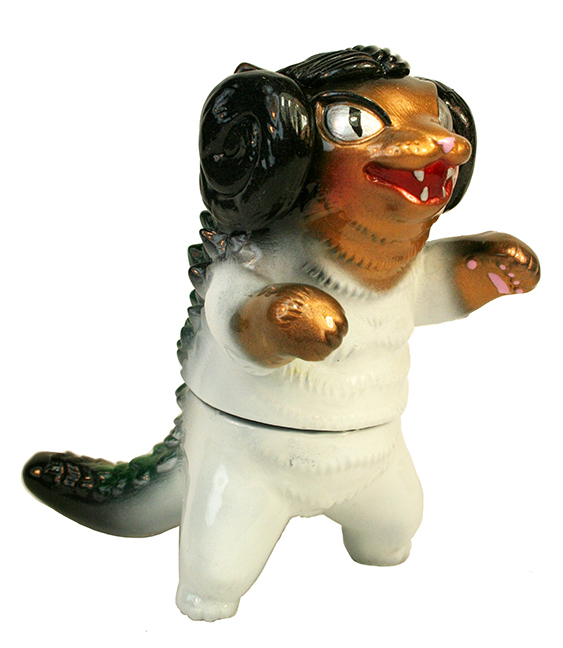 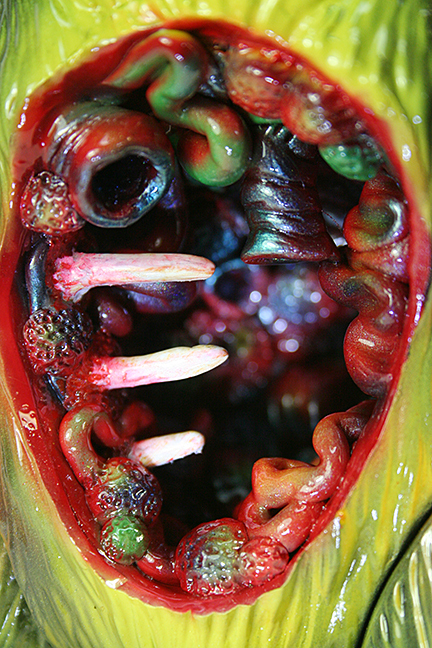 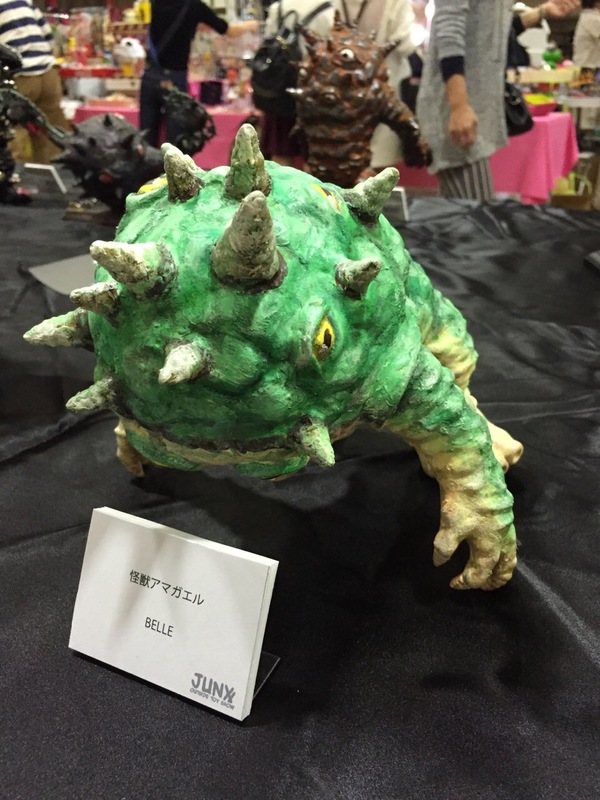 A Max Toy/Monster Boogie production, original toy sculpted by Makino-san of TTToys, and cast in Japan by Master Shimizu-san at his vinyl factory. 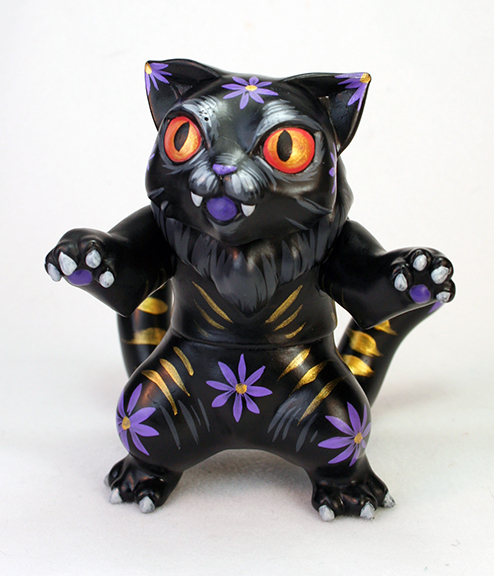 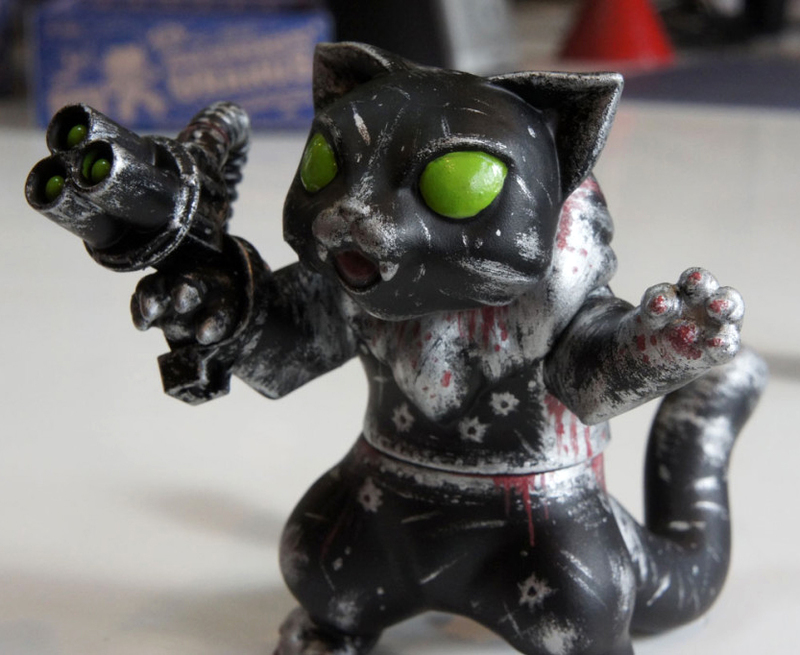 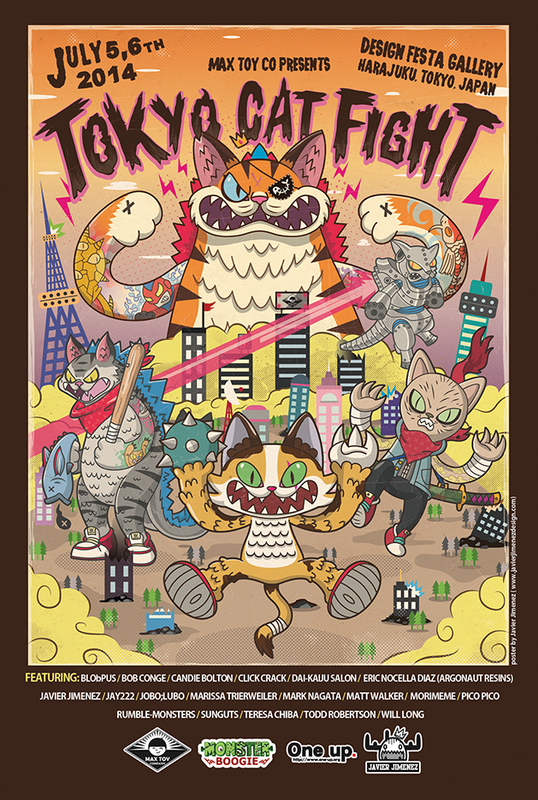 I think you’ll agree with me that the artists have really made some Amazing Cat customs ! 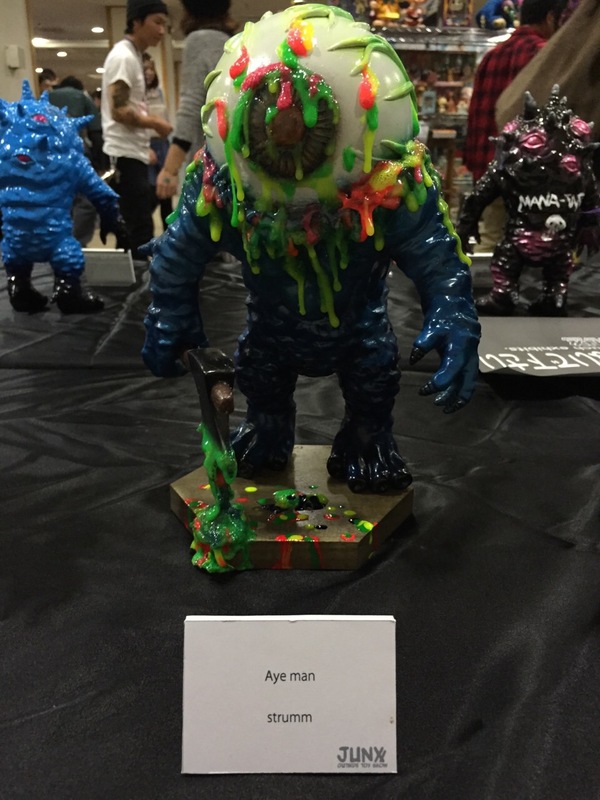 Of note, the paints used on most of these figures contain glitter and rainbow type effects that my poor photography simply can not pick up .. in person you will not be disappointed !! 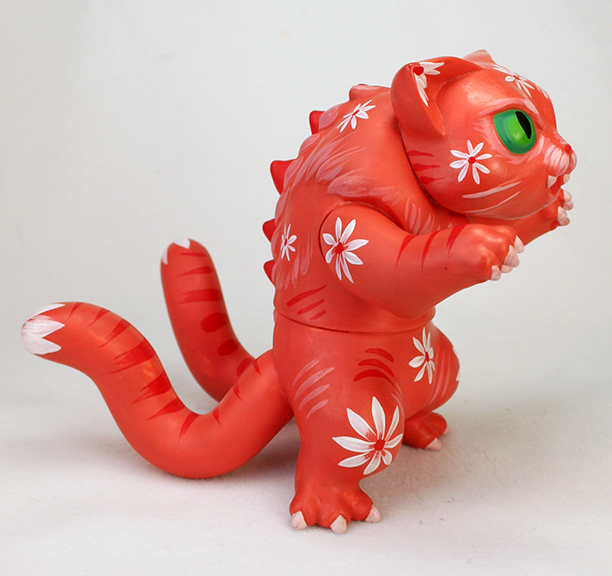 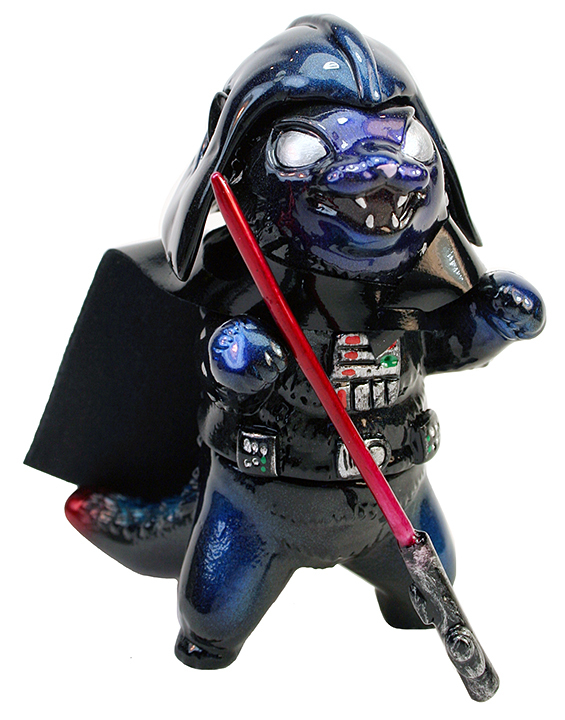 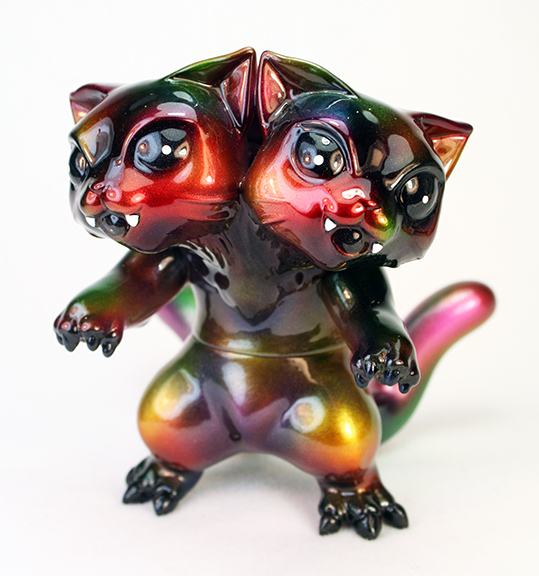 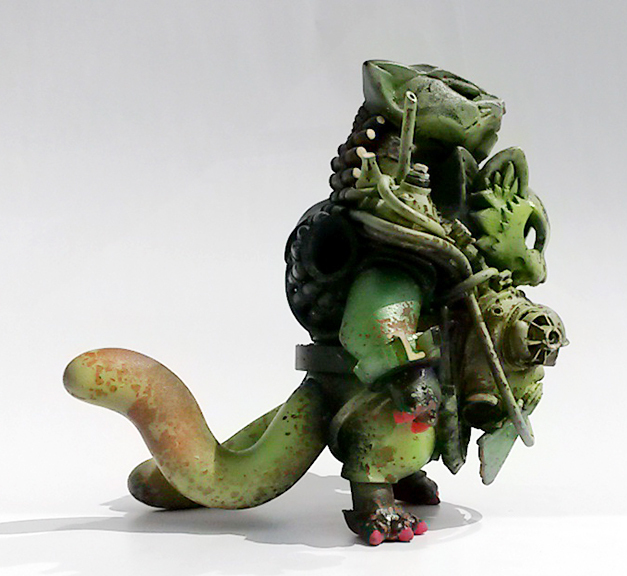 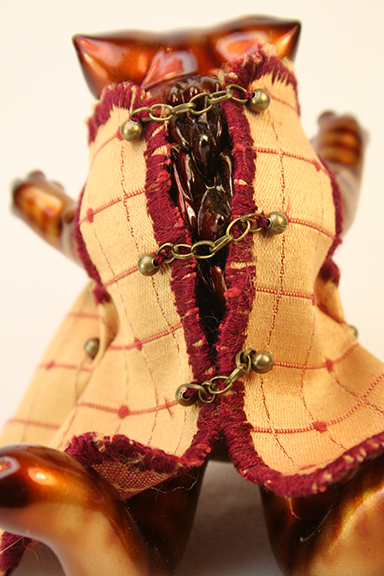 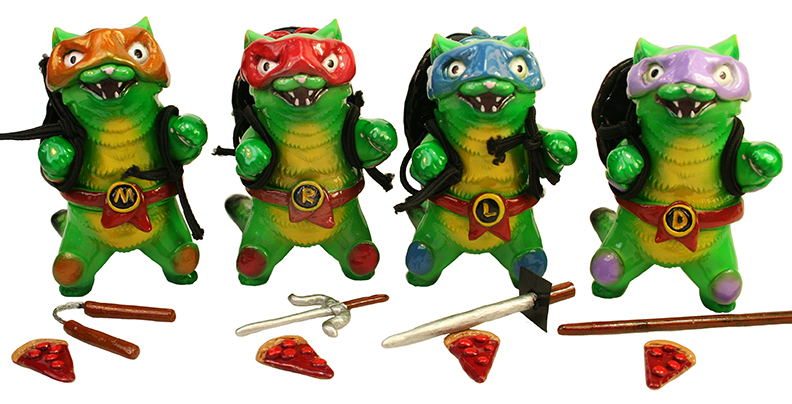 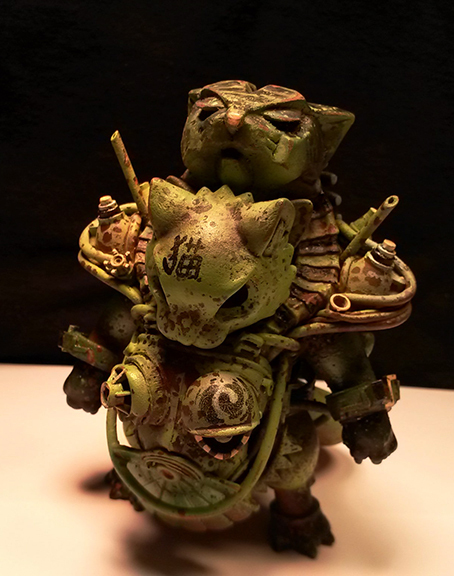 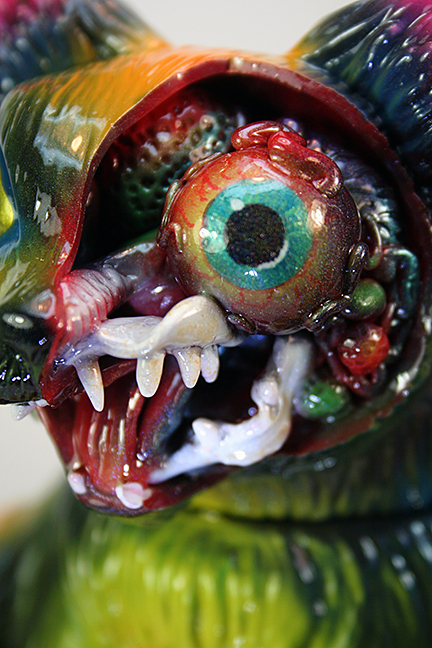 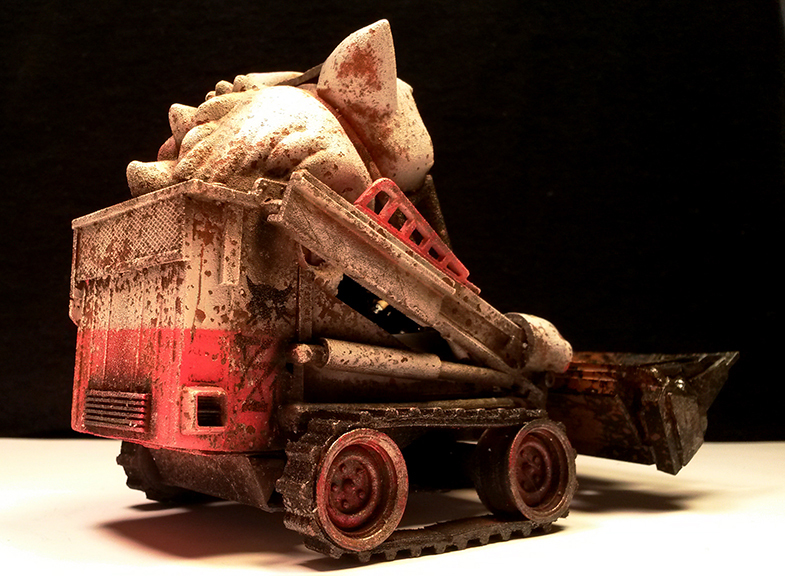 These customs are now availablevia http://www.maxtoyco.com web store ! 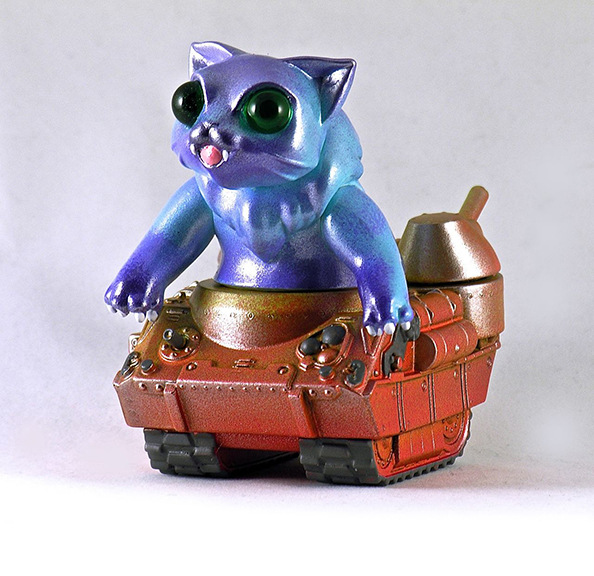 Good Luck and Meow !!! 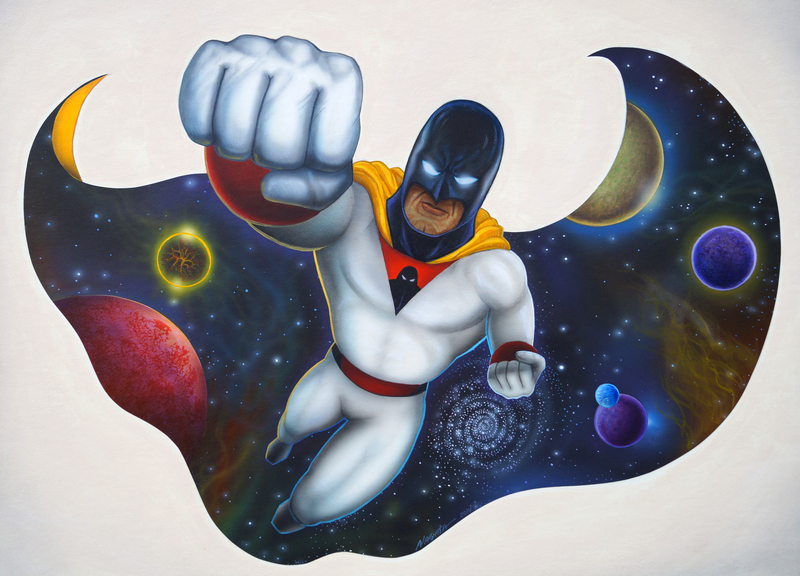 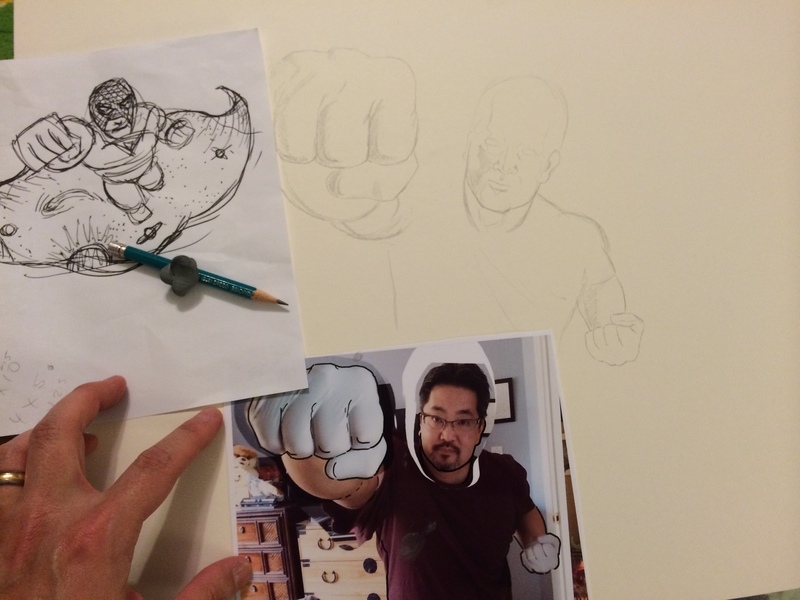 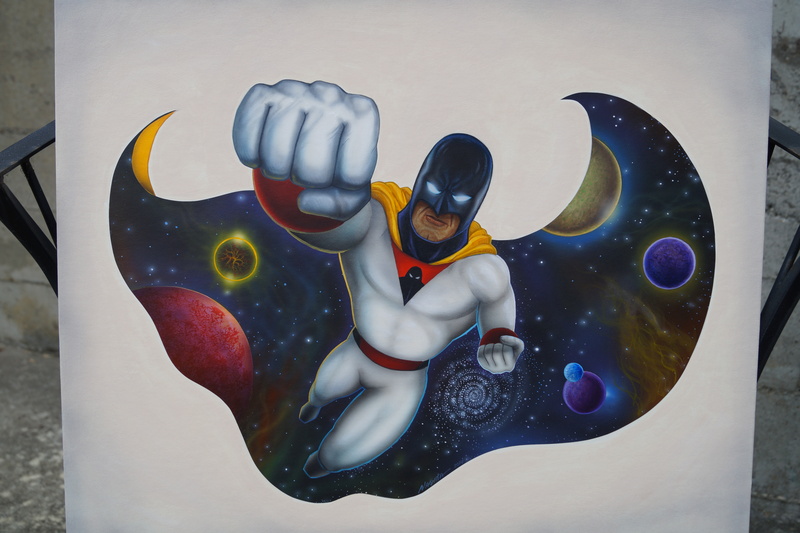 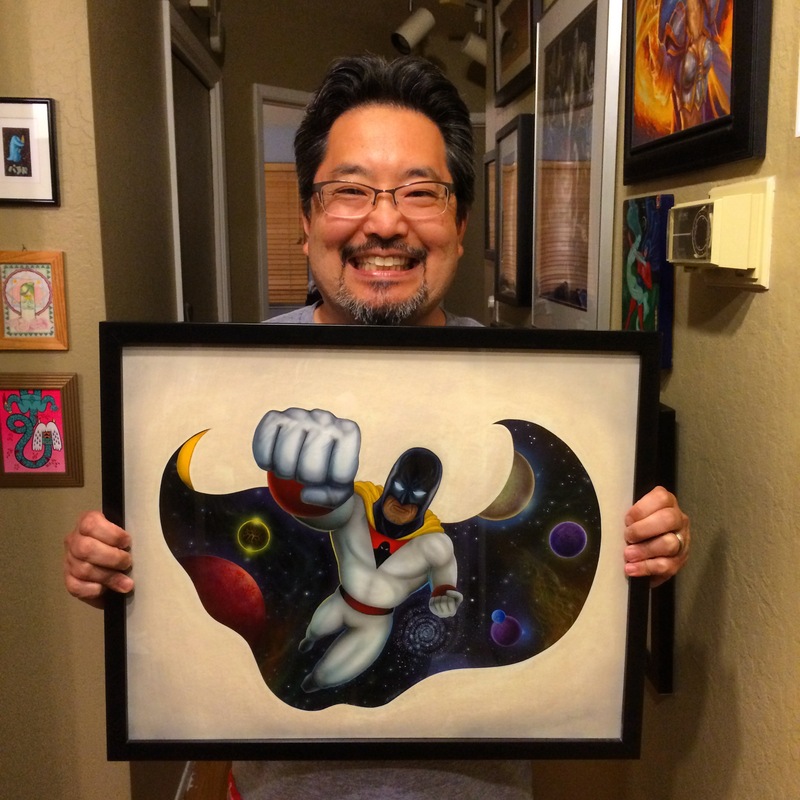 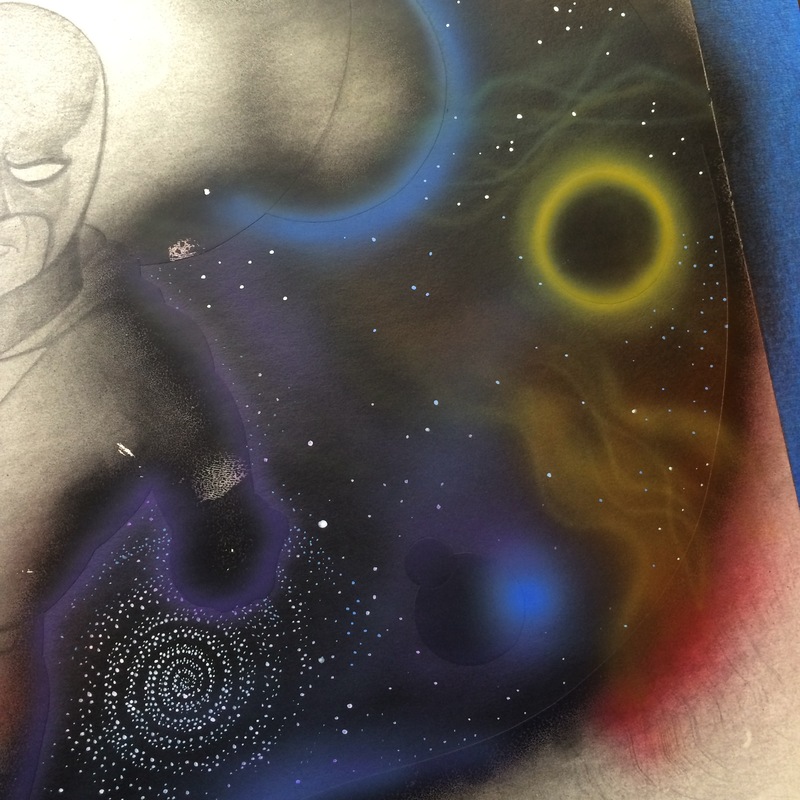 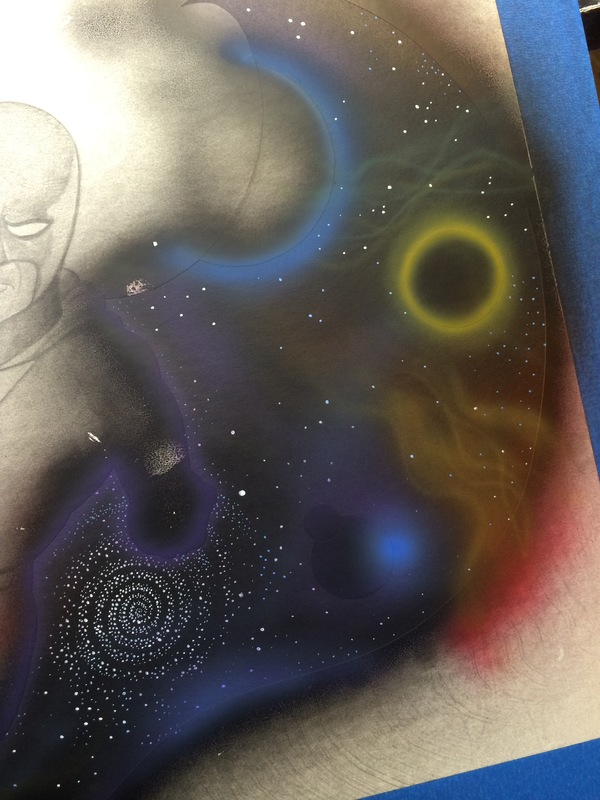 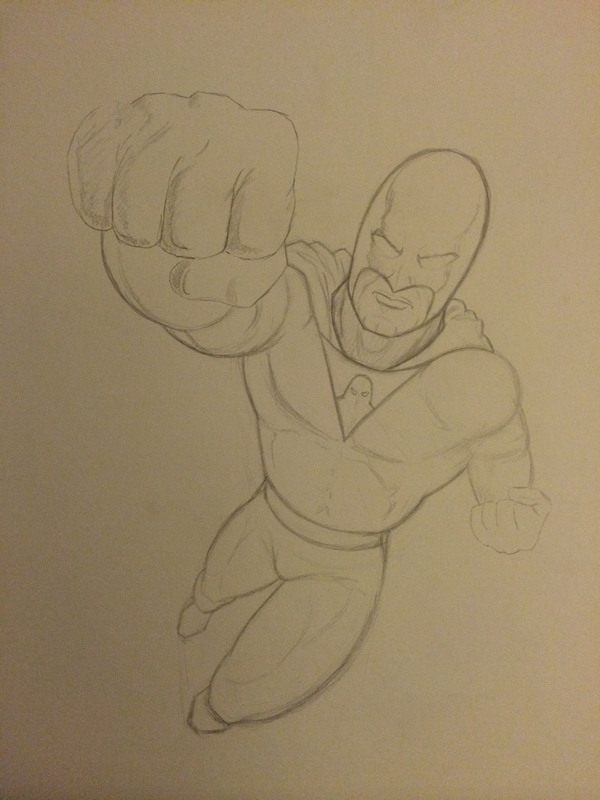 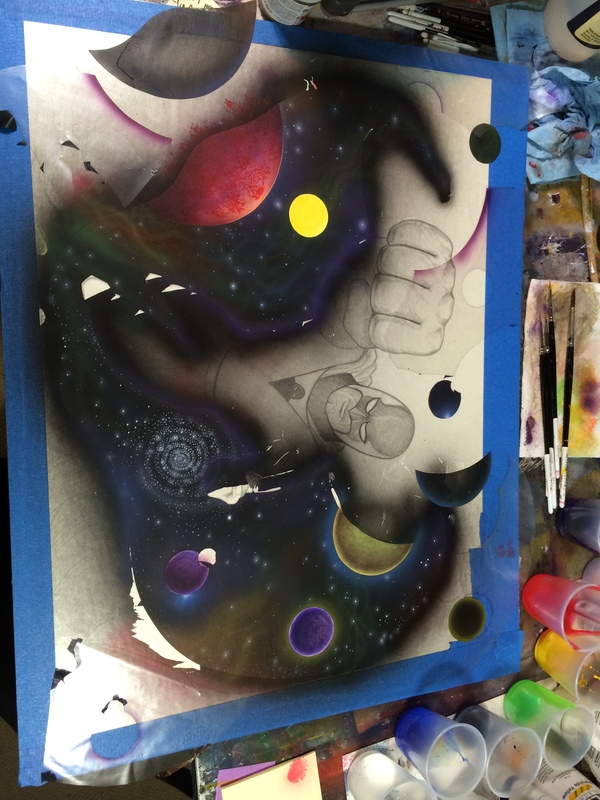 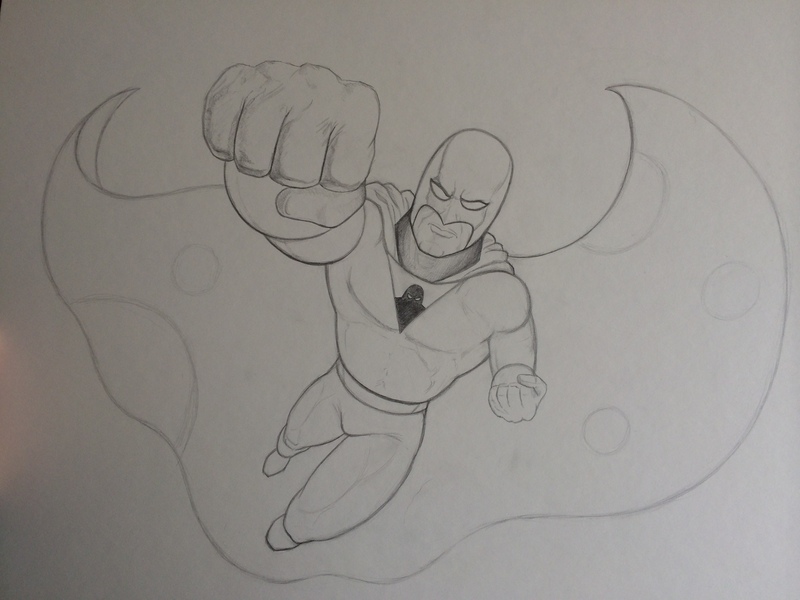 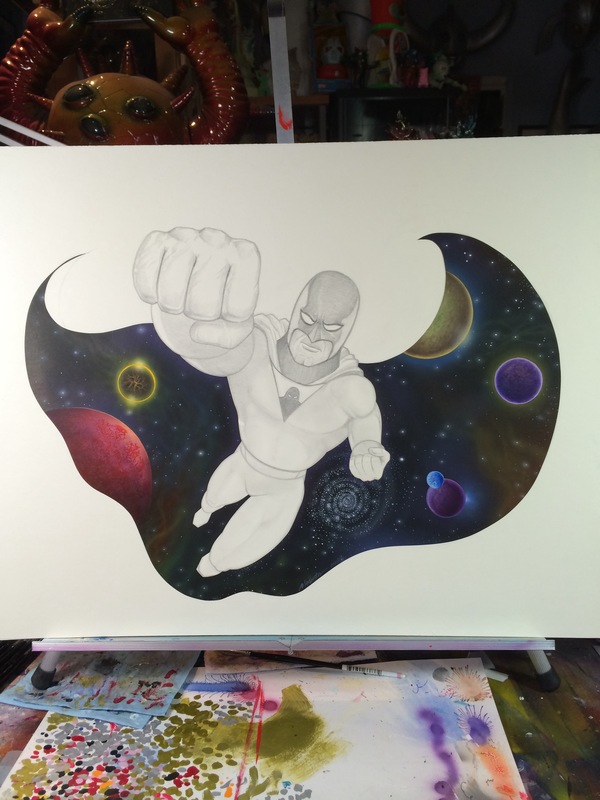 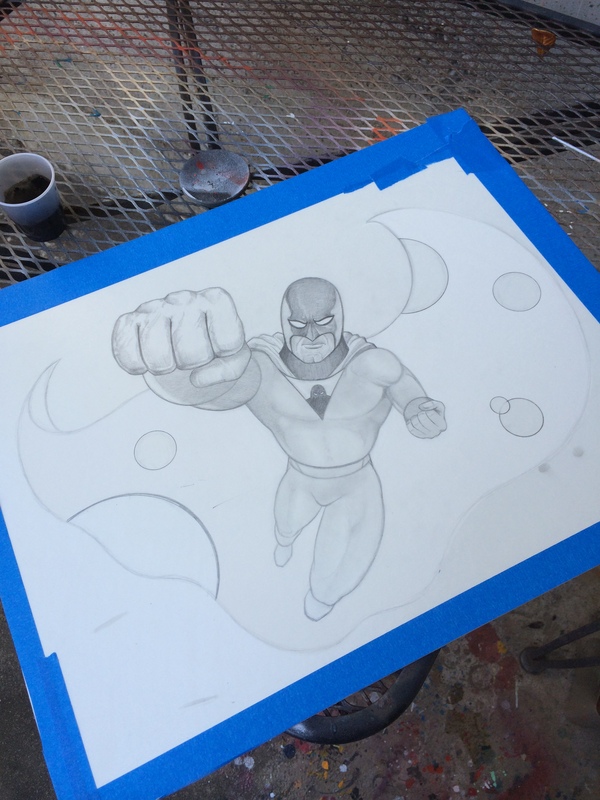 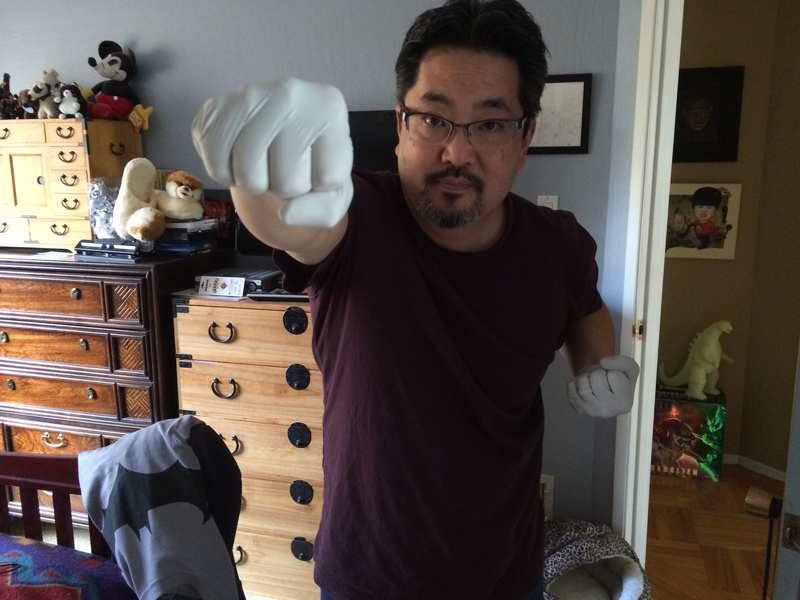 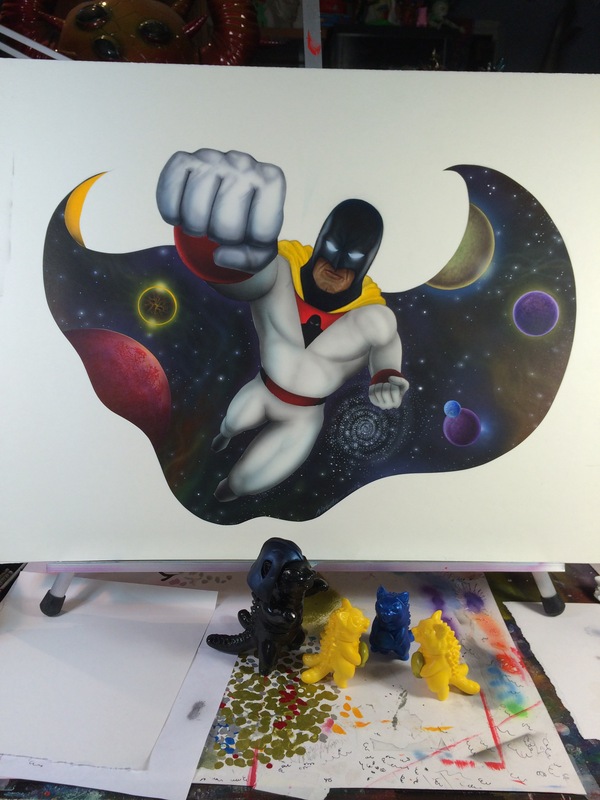 Here’s my in progress pics for the Space Ghost painting I did. 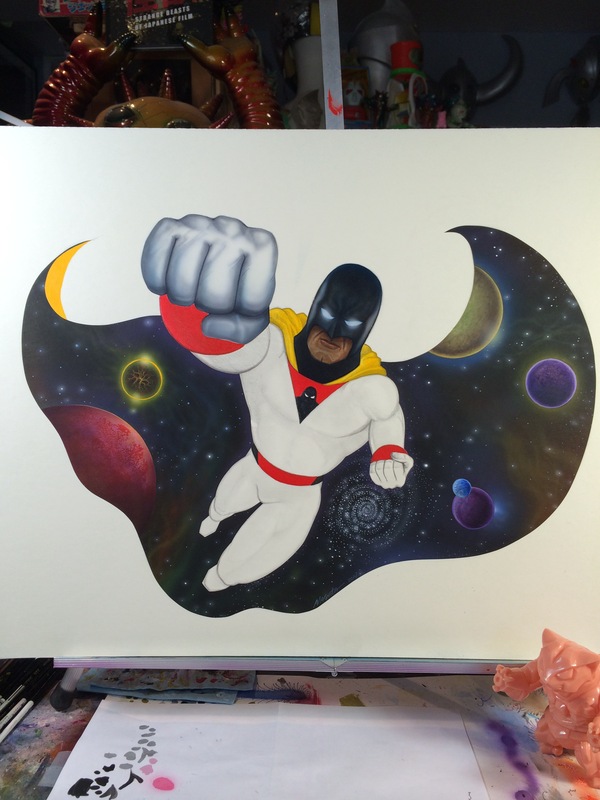 It’s on display at the Cartoon Networks Studios but the show is not open to the public ;-P Many thanks again to Chogrin for inviting me to play … contact him if you have interest in this painting ! 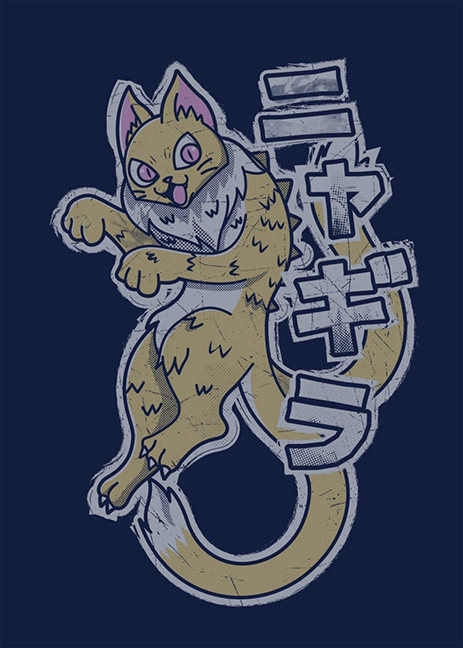 Gonna keep this one short on text as I’m busy with other projects but here you go ! 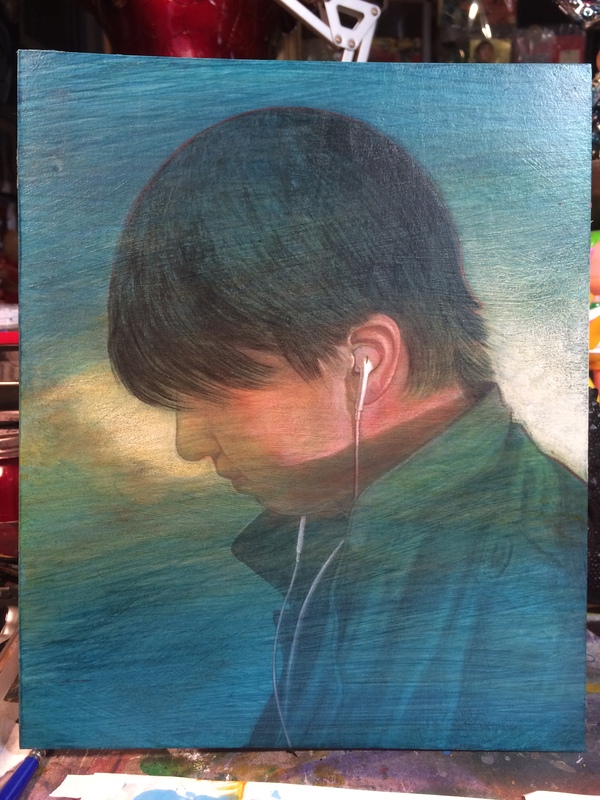 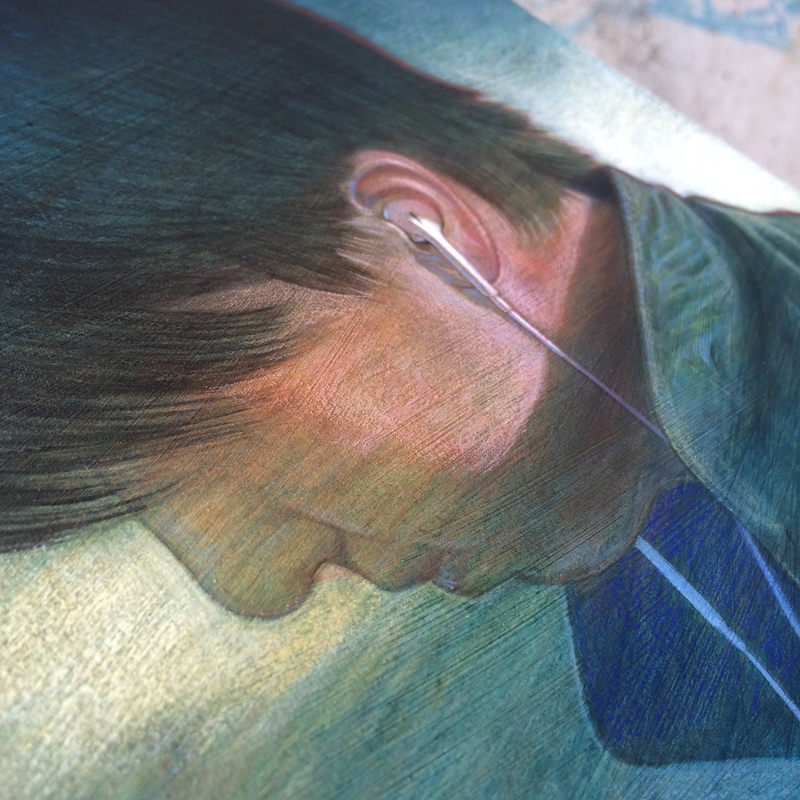 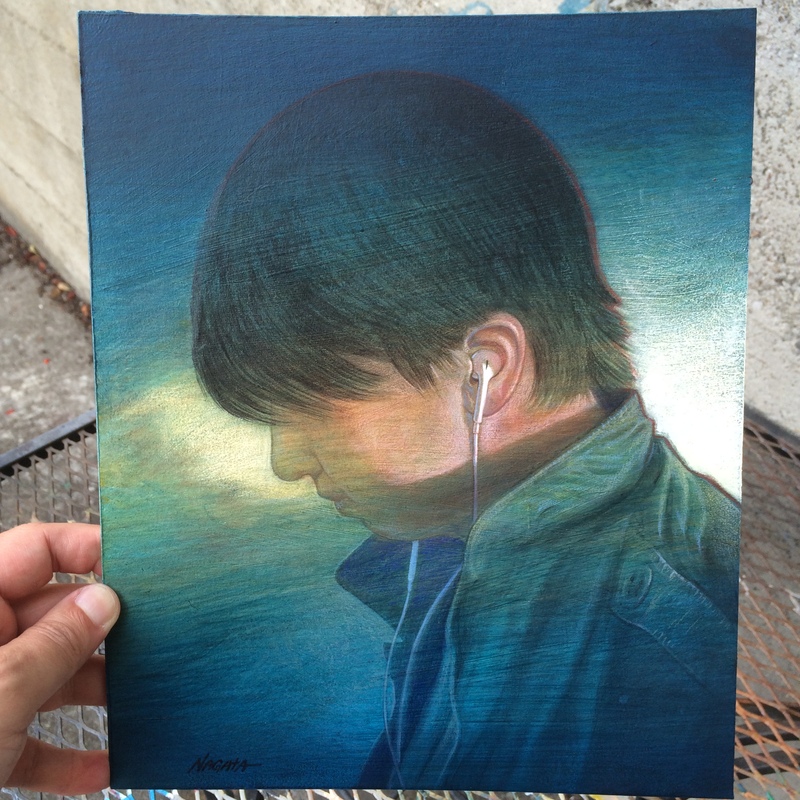 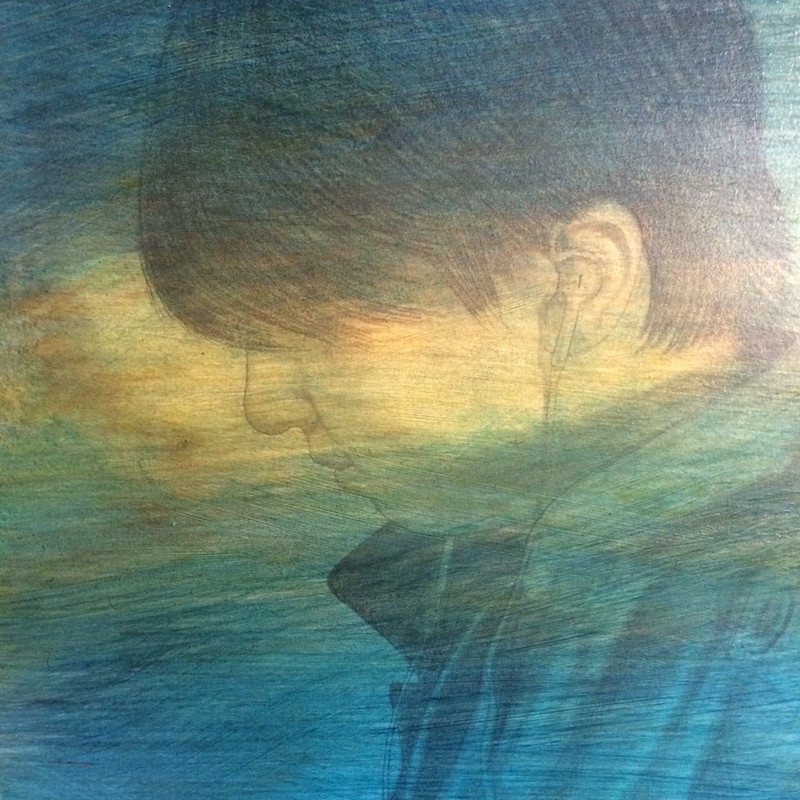 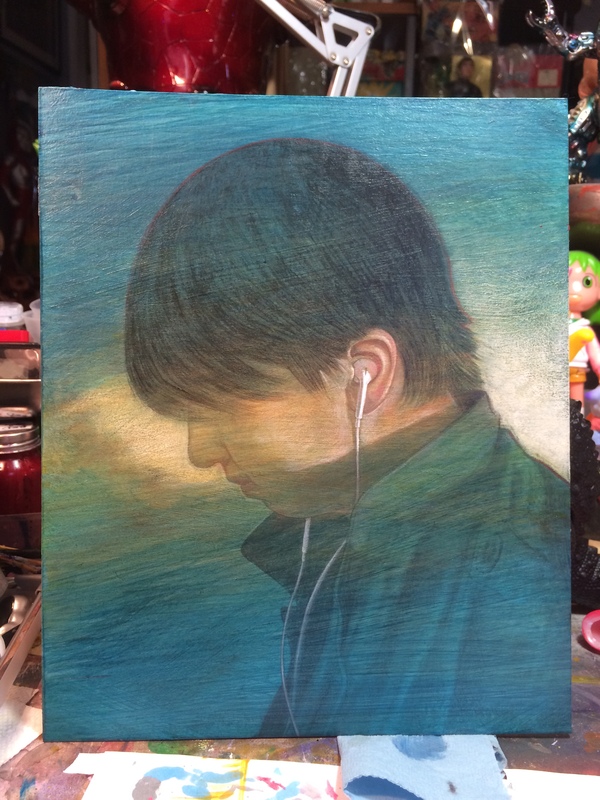 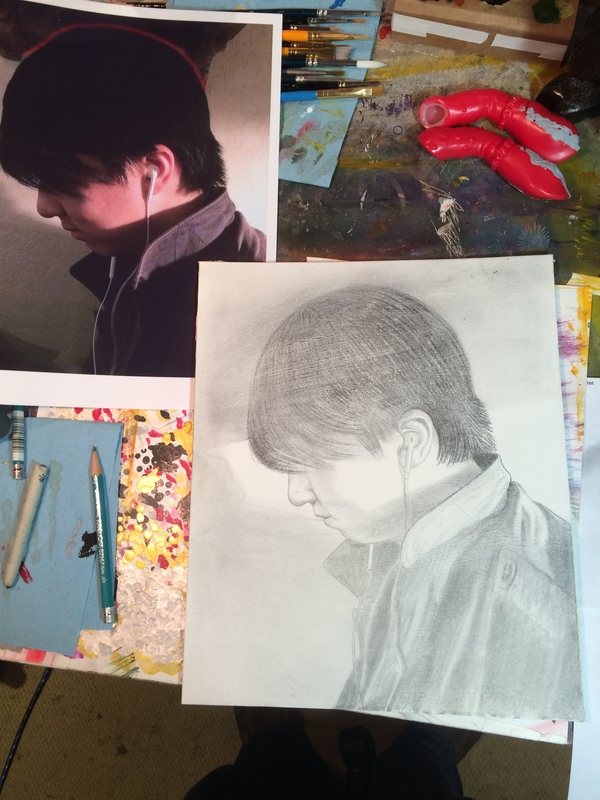 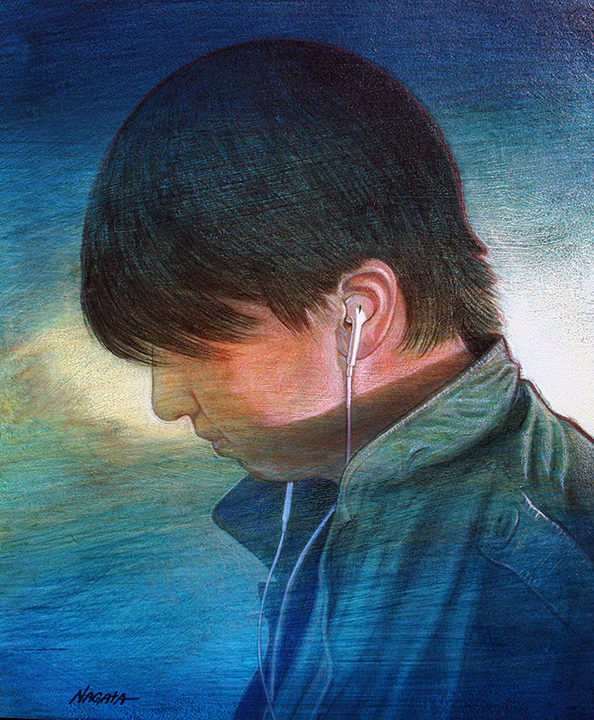 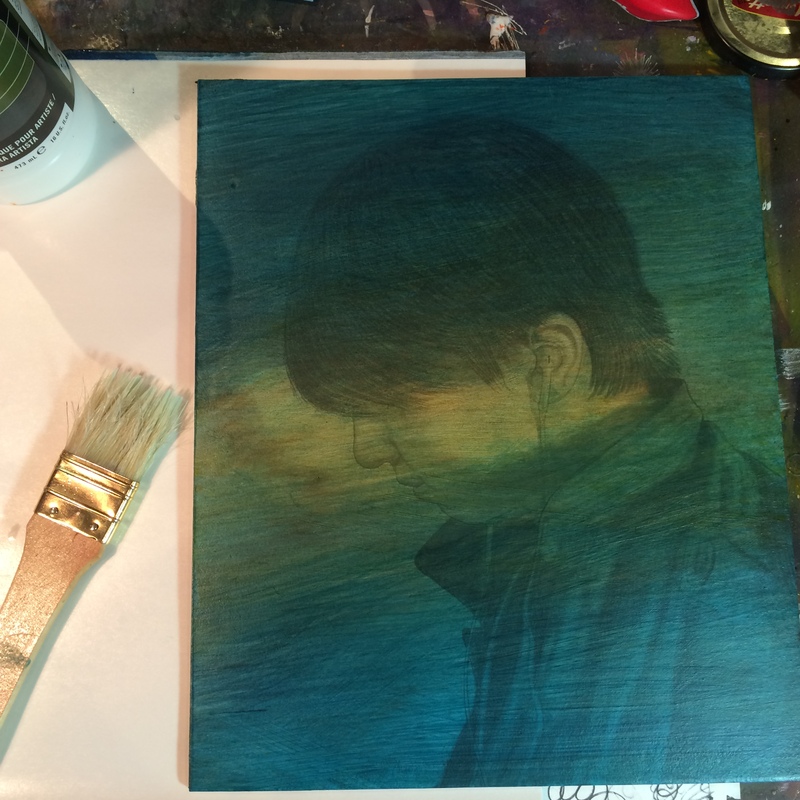 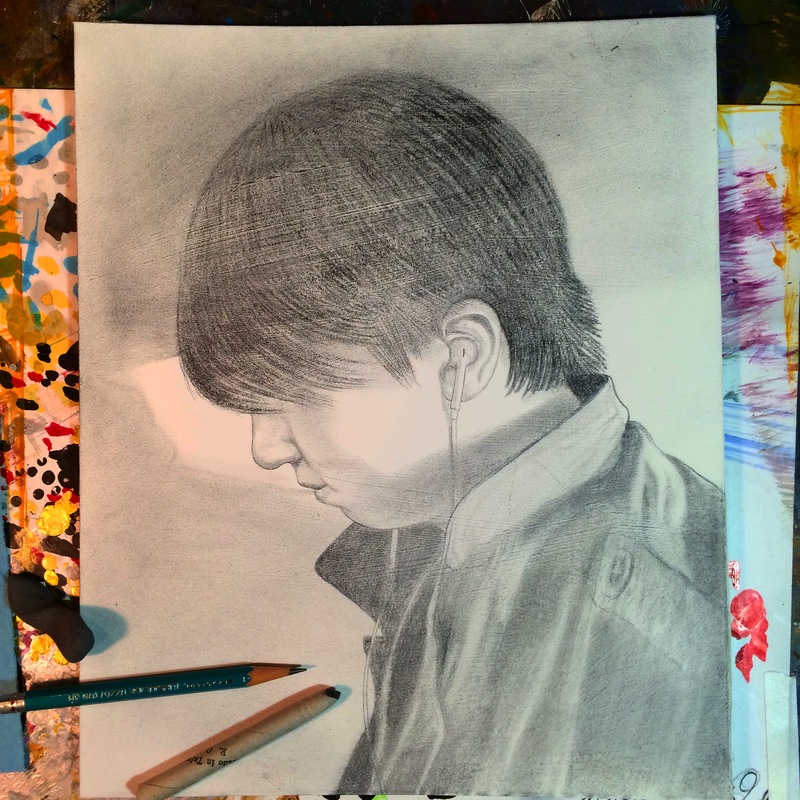 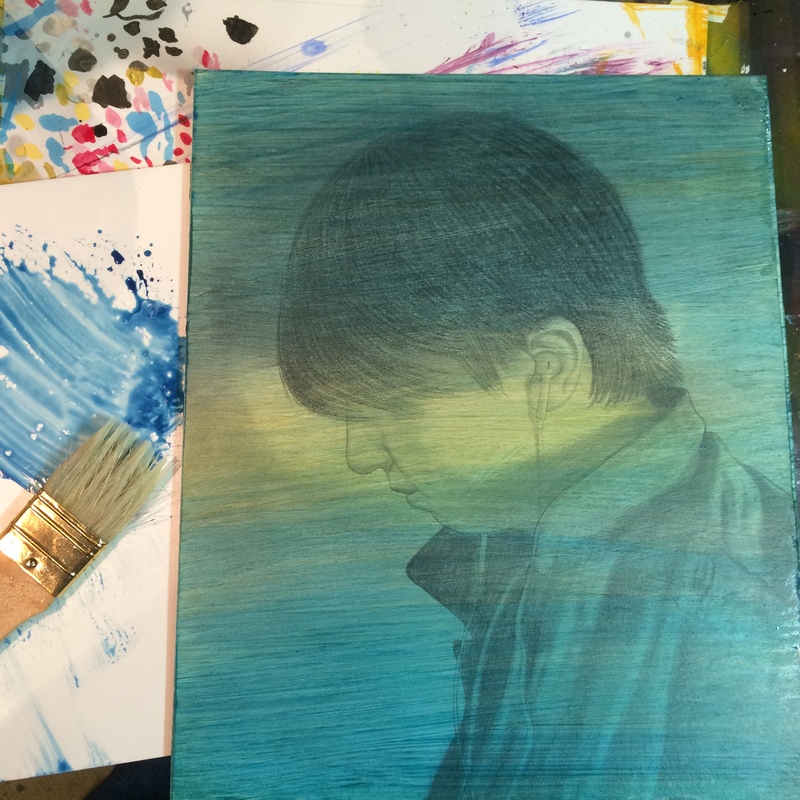 full pencil under drawing complete, lightly sprayed with fixative to seal in the drawing. 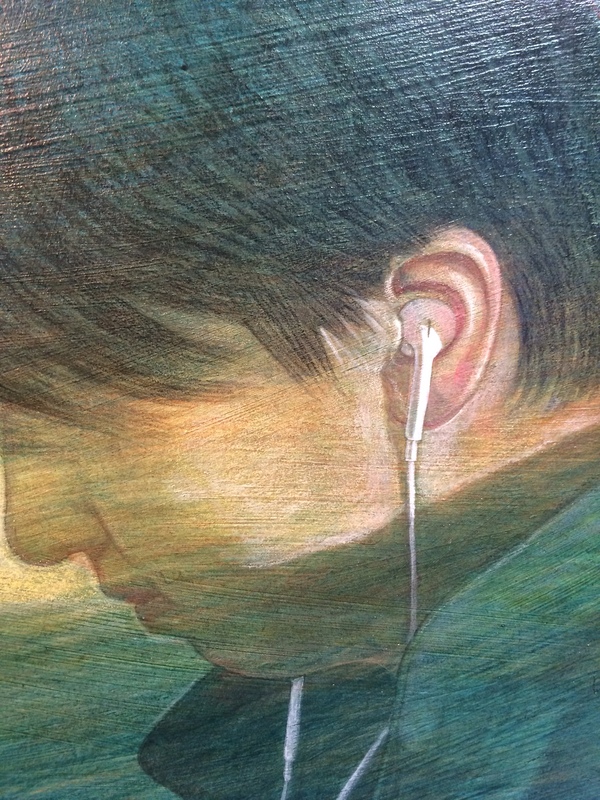 I’m using acrylics with an airbrush and hand painted details ..
16×20 inches on illustration board by Mark Nagata.